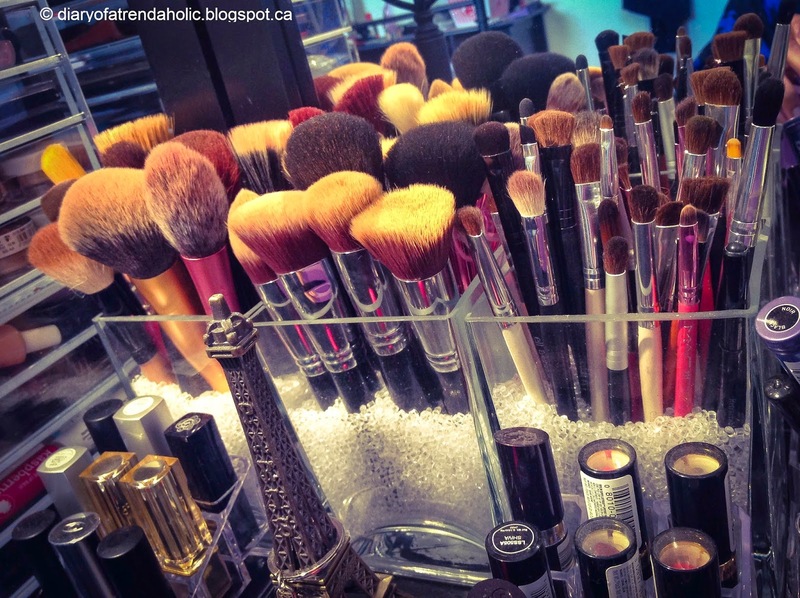 Cleaning makeup brushes often is important because brushes that are not cleaned frequently can harbor bacteria and cause skin irritation and breakouts. Every so often I use a shampoo and clean my brushes thoroughly but to reduce the amount of deep cleaning I have to do I use a cleaner and disinfectant after each use. 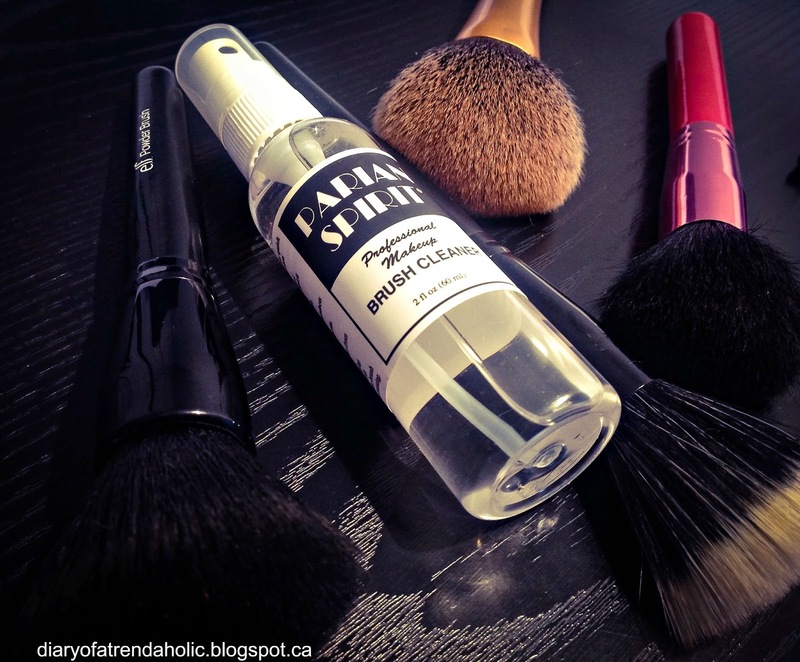 Recently I have been using the Parian Spirit Professional Brush Cleaner. The cleaner comes in a spray bottle and is designed for quick cleaning when you don’t have time to wait around for your brushes to dry. The formula uses citrus oil to condition and the scent is fresh and makes brushes smell amazing! 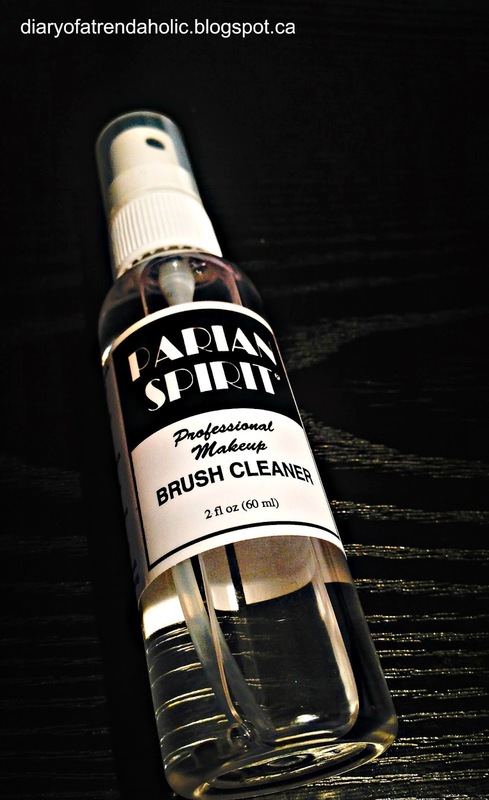 Parian Spirit is environmentally friendly and cleans and disinfects brushes and makeup tools of all types and sizes. To use all you do is spray your brush while rotating and wipe dry on a terrycloth or paper towel. For deeper cleansing you can soak the bristles in the cleaner, swirl the brush around and wipe dry. 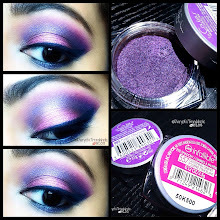 This product is great at removing residual liquid products, powders, shadows and even glitter. 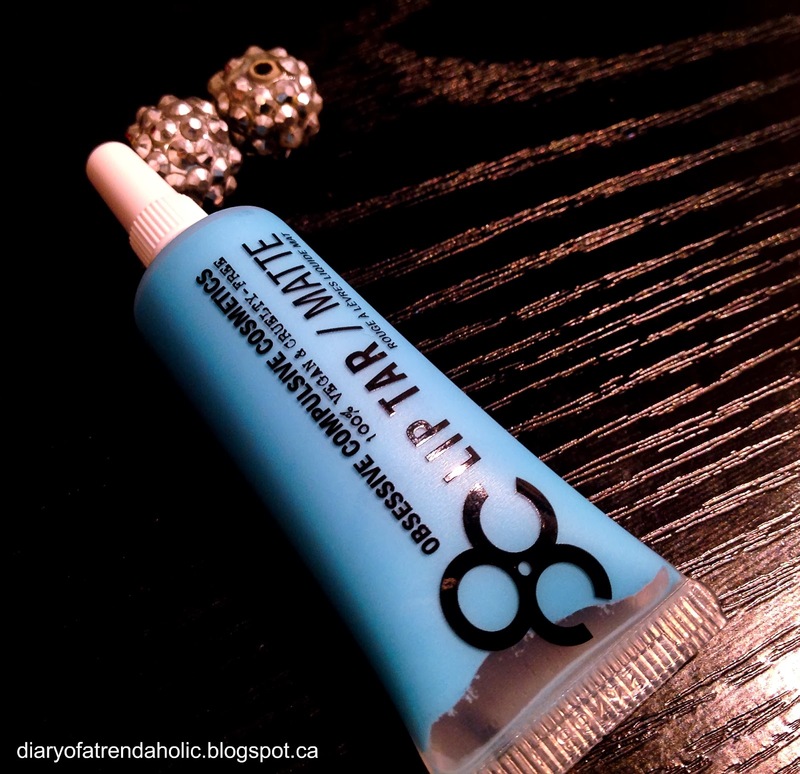 You can also use it to remove eye lash glue and to clean your false lashes before reuse. 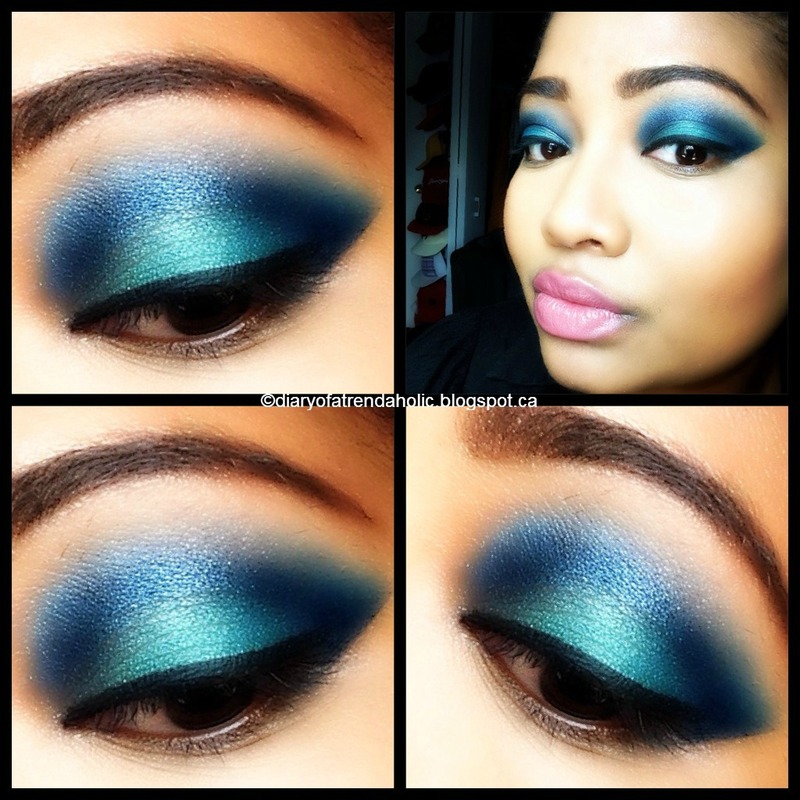 Removing buildup and reshaping your brushes will keep them working efficiently and help them last longer. The cleaner comes in a few sizes, I have the 2oz travel size but a little goes a long way. For a list of U.S retailers click HERE and for a list of international suppliers click HERE. The size I have is sold for about $6.50 but prices may vary by retailer and location. 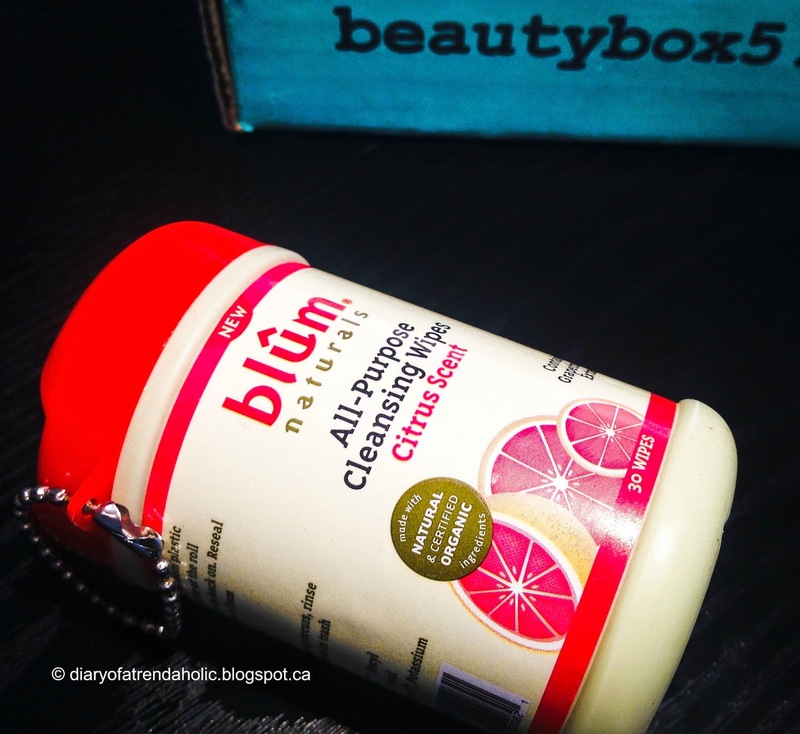 If you are ever at a makeup show and you see Parian I would definitely recommend picking up some of this cleaner. Every Friday night I deep condition my hair, do my nails, cleanse my face and treat my skin to a refreshing face mask. I call it my spa time; a few hours out of the week when I focus on rejuvenating my mind and body with luxuriously relaxing treatments. Today I have a review on two products that I have been testing. 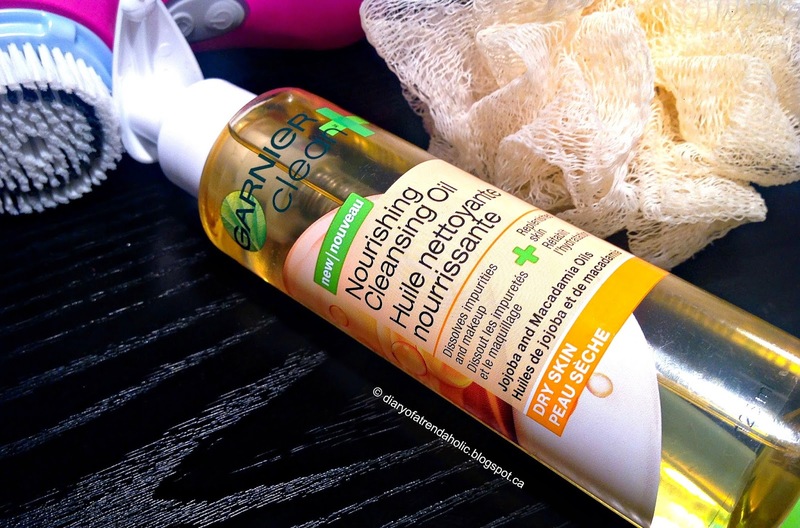 The first is Garnier’s Nourishing Cleansing Oil for dry skin. I have sensitive, combination skin so I opt for cleansers that are non-drying. 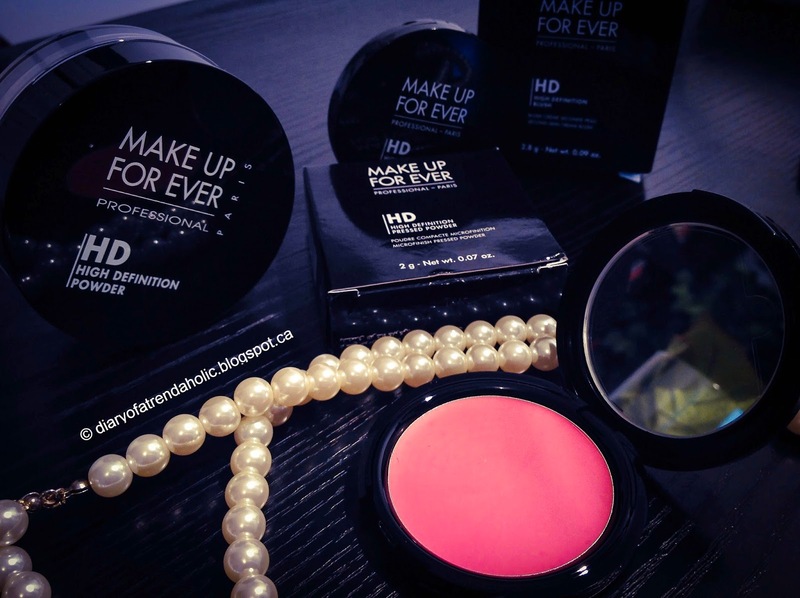 At the end of a busy day I am usually too fatigued to spend a lot of time removing makeup but it is essential for clean, healthy skin so any product that makes the task easier is a great idea. The Nourishing oil works by dissolving impurities and makeup while replenishing and balancing skin with jojoba and macadamia oils. This is not a traditional cleanser that works up into foamy lather, instead you apply the oil to dry skin and massage in. After it has been worked in, wet skin to emulsify and rinse clean. 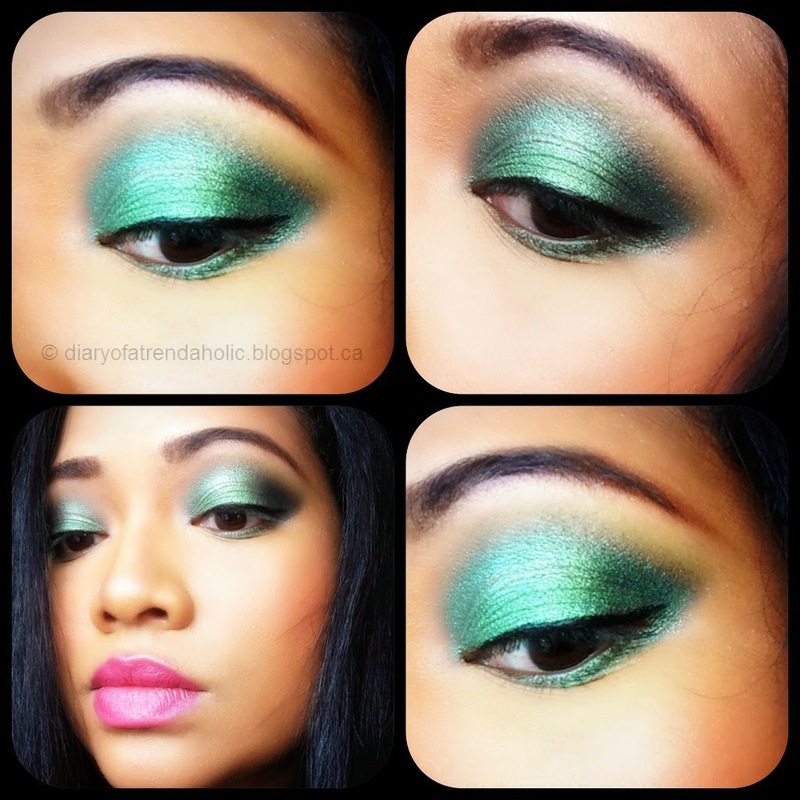 The oil is meant to remove long-wear makeup and leave skin velvety smooth with no greasy residue. 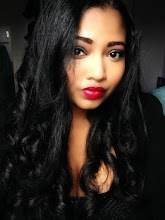 I tested the oil on a full face of makeup and it did help loosen my foundation, eye shadow, eyeliner and mascara making them easier to remove. I rubbed the oil into my lashes and it gently softened my dried, hardened mascara reducing the amount of lashes lost without burning my eyes. The oil smeared around and emulsified my foundation, concealer and eye shadow but since water and oil don’t mix, rinsing did not remove the oil or makeup. I still had to follow up with a makeup wipe and cleanser and if not washed off thoroughly it does leave behind a residue. Overall I like this product for removing eye makeup and waterproof products and the scent is pleasant. It retails for $5.97 at Walmart. After cleansing my face and lifting the debris from my pores I grab a good book, relax and move on to a pampering face mask. 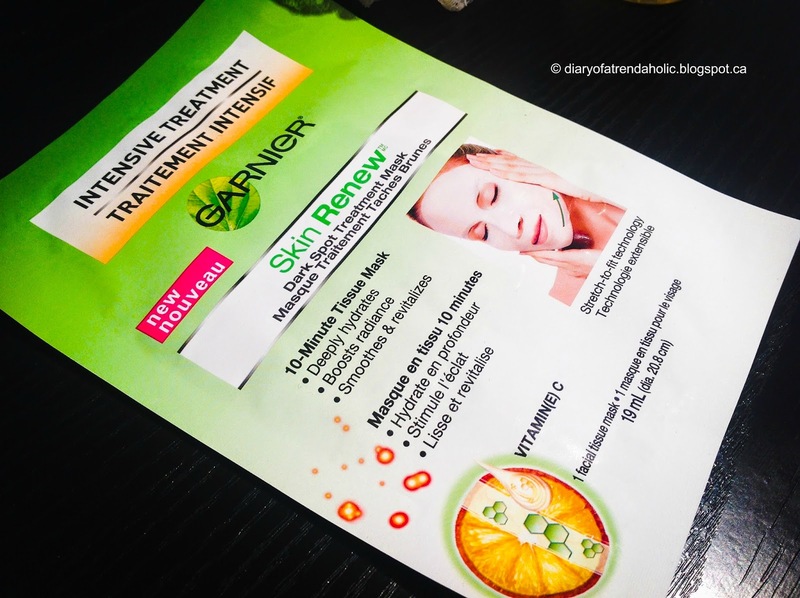 Garnier recently launched a dark-spot treatment mask that helps even skin tone. I have a few faint blemishes from past bouts of hormonal acne that I would like to fade and it is also meant to treat dullness. The natural ingredients include: vitamin C, floral extract, castor oil, and fruit extract. *The mask is dermatologist tested, gentle on skin, allergy tested and non-comedogenic. Dark spots and blemishes don't fade overnight but this mask is hydrating, smells good and makes skin feel smooth and supple. I left the mask on for longer than the recommended ten minutes and it was very cool and refreshing. It made my skin look and feel renewed without causing irritating or dryness so I will pick up a few more and add them to my rotation of weekly facials. 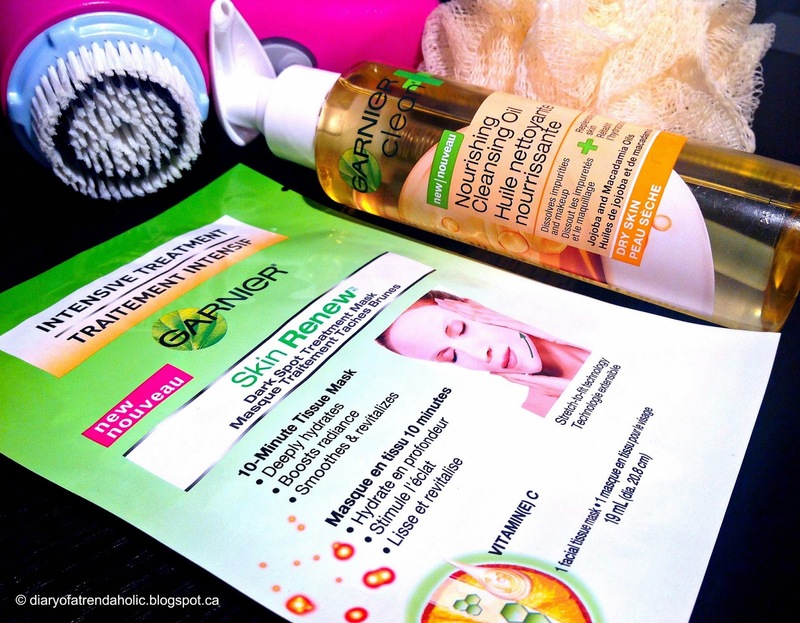 For optimal results Garnier also suggests you use the mask in conjunction with the Skin Renewal Clinical Dark Spots and Dark Spots Overnight Peel. I will continue to use this treatment whenever my skin needs a little boost. You can pick up a 6 pack at Walmart for $14.95. 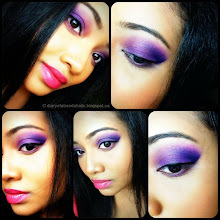 I prefer blush that blends easy, has great texture and looks smooth and seamless. 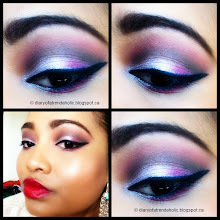 Blush should compliment the skin to create an alluring effect and give a beautiful flush of color to the face. 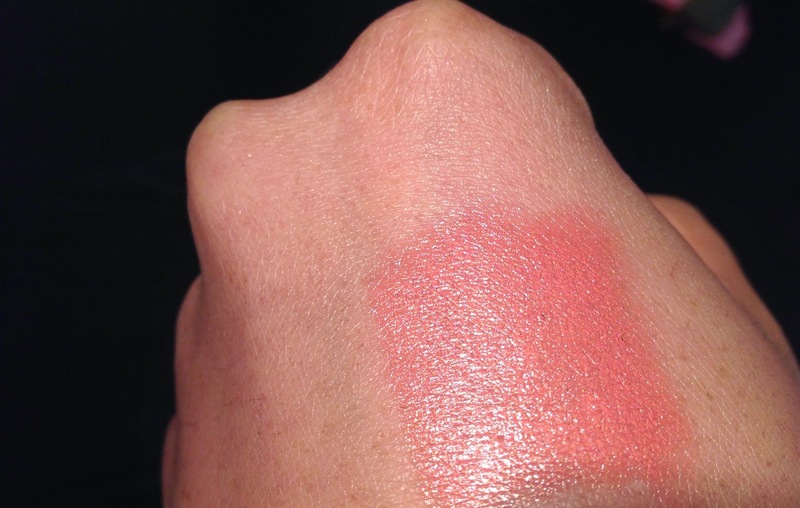 I love the texture of this blush because it is easy to work with, the pigmentation is good and it blends effortlessly. 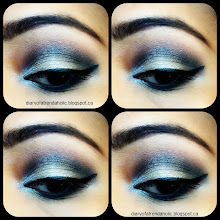 I also like that it is lightweight and once set it sculpts the cheeks for a soft, flawless finish. 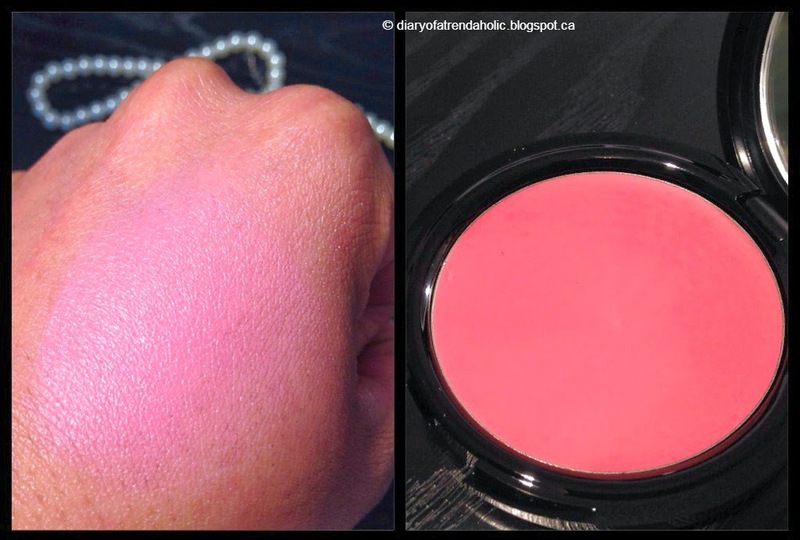 This blush is great for dry skin types because it is somewhat hydrating and does not cake into the texture of skin. 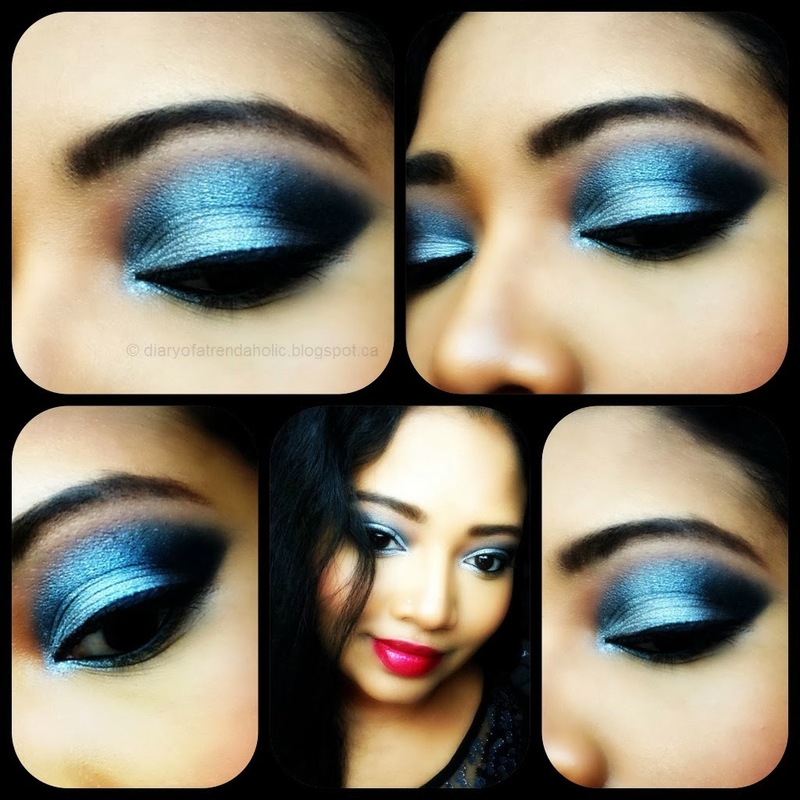 The formula contains no glitter or sparkle so there is no highlight effect or underlying color which is preferable in a crème. 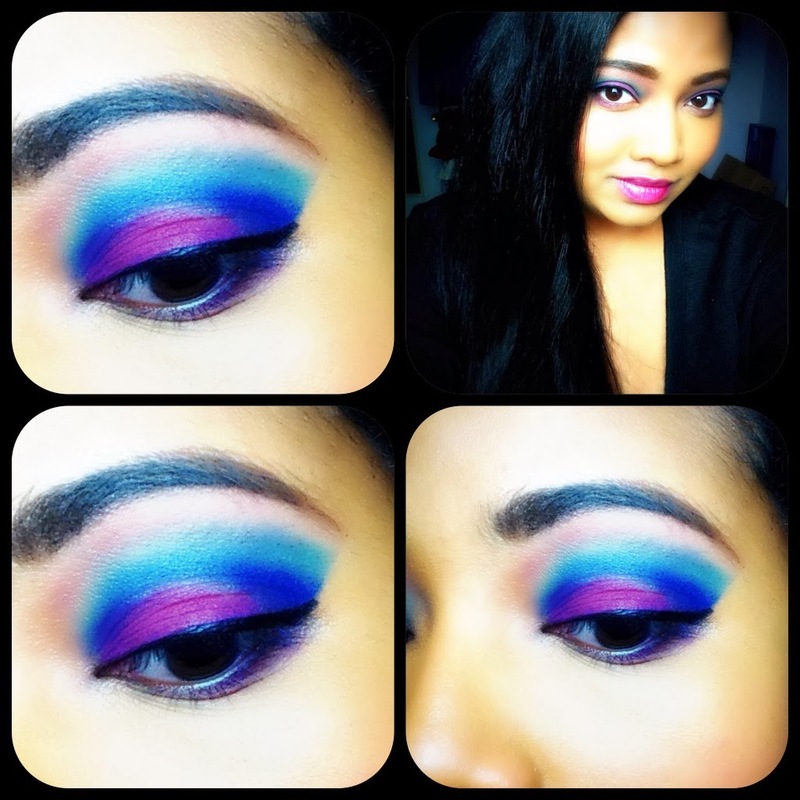 I apply the blush using my fingers and gently blend it where I want it to sit. I recommend cleaning hands prior to touching the crème to prevent makeup, germs and other particles from embedding. 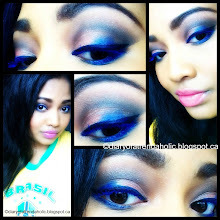 For a natural flush try applying the blush prior to setting makeup. You may also use a stipple brush or sponge applicator, however I find that some sponges may absorb too much product. 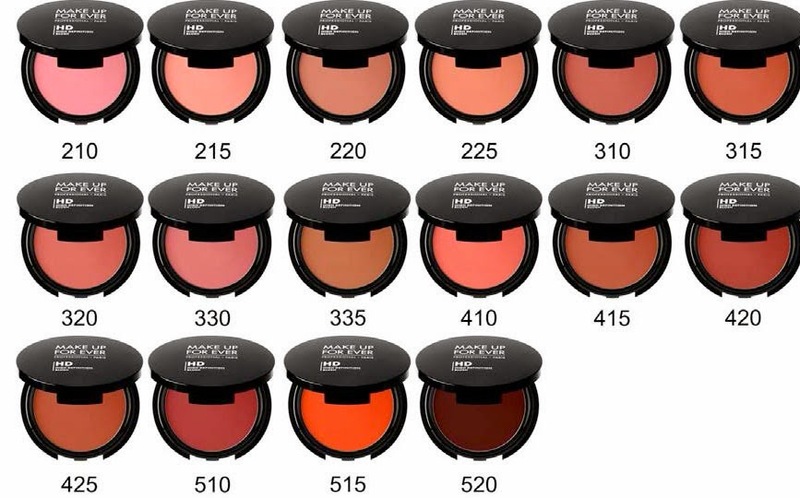 The HD blushes comes in a beautiful array of 16 shades. 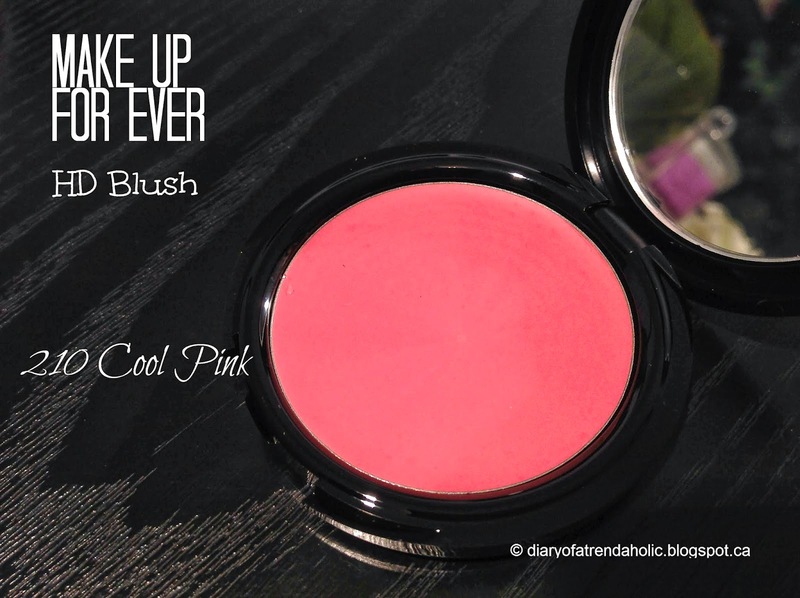 I have the blush in 210 Cool Pink which is a light, bubble gum pink. I would also like to try 410, 510 and 515 (seen below). We all know that eating healthy and incorporating fruits and veggies into our diet is important but it may not always be easy. If you have a hectic lifestyle then eating right can seem like a chore. I do the best I can by reading labels, making all my dishes with low-fat ingredients and using extra lean meats. I also consume a lot of leafy greens like bok choy, spinach, rapini, kale, salads and I whip up healthy desserts and snacks. Recently I purchased a NutriBullet machine which makes creating healthy meals, drinks and snacks faster and more convenient. 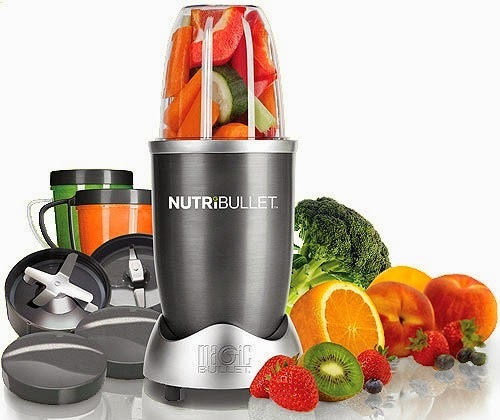 I like this machine because it is small and less bulky than a large juicer or blender. It is also powerful and easy to use. One of the main reasons we got this machine was to make hearty, delicious smoothies. 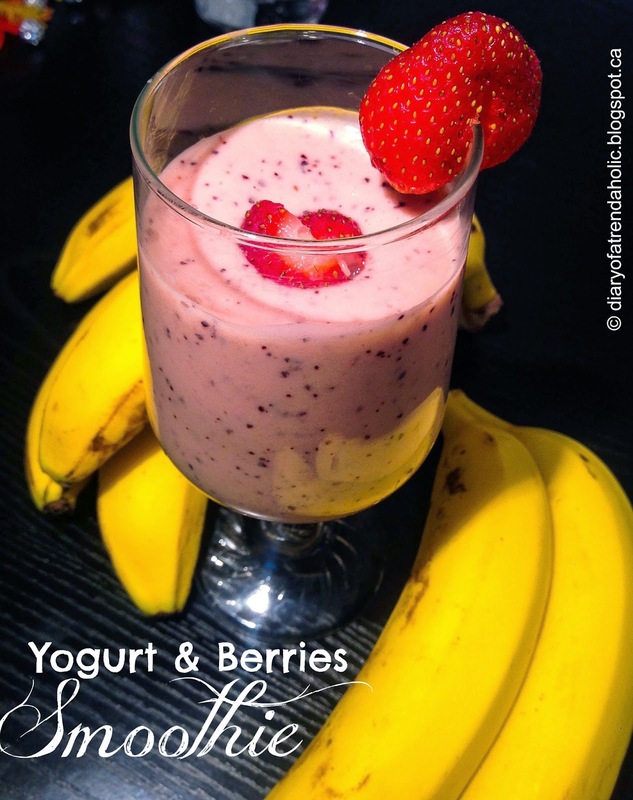 Today I am going to share one of my quick, sweet and very satisfying yogurt and berries smoothie recipes. 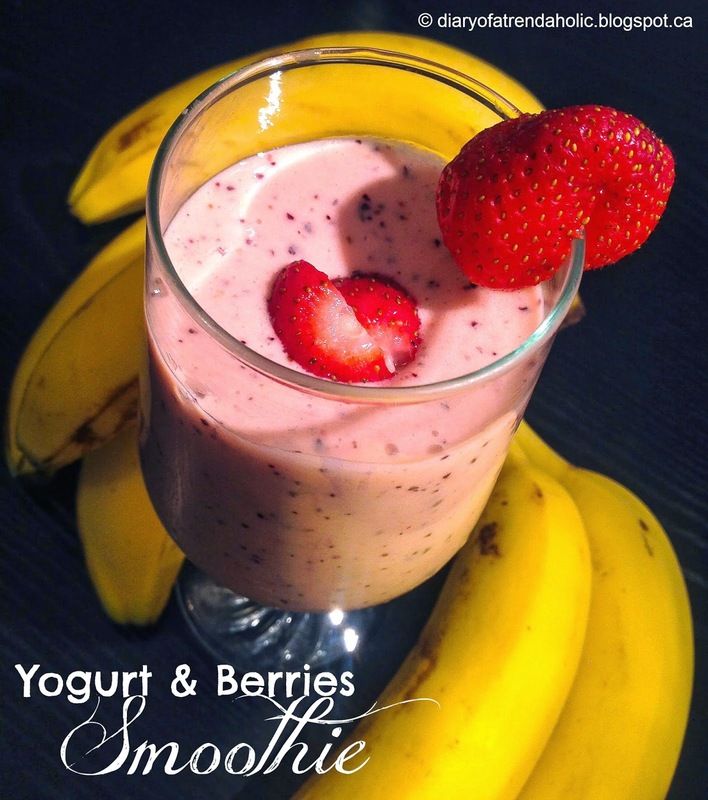 This smoothie is quite filling, which makes it a great breakfast or lunch on the go. Sometimes I also add a leaf of kale to this recipe. This recipe is simple but delicious! I prefer smoothies that are creamy and don't have many seeds. Sometimes I also add some spinach to make it even more healthy. If you are interested in this machine I purchased mine at Walmart for $98. 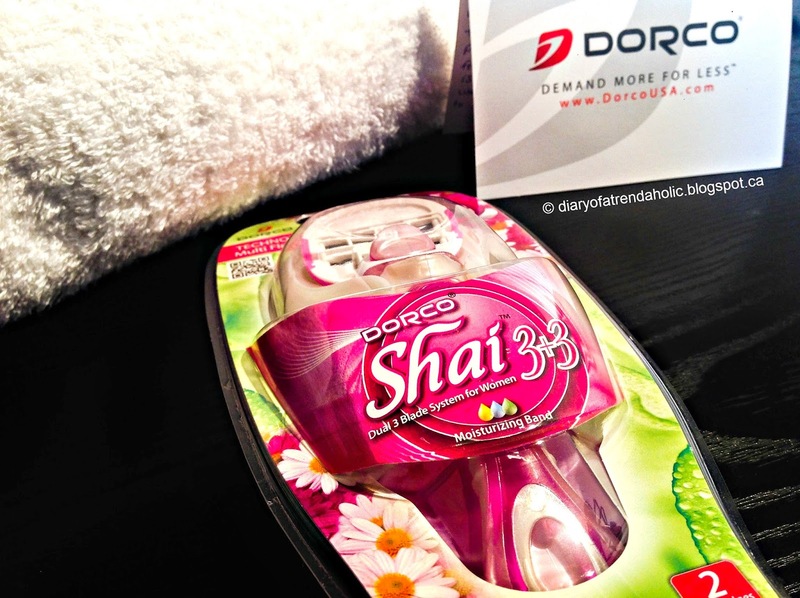 Hair removal is a persistent process many women undertake with mixed results. From waxing, threading, shaving and plucking many of us have undergone the tedious task of trying to remove unwanted hair. Personally I find the whole ordeal time consuming and sometimes quite painful, so I like to get it done quickly and efficiently. I have tried many different razors on the market, from some of the top brands to the electric varieties. When I purchase razors I usually opt for brands that have great blades and refill packs available. I very rarely like those flimsy disposable razors that seem to get rid of as much skin as hair and cause painful cuts and irritation. 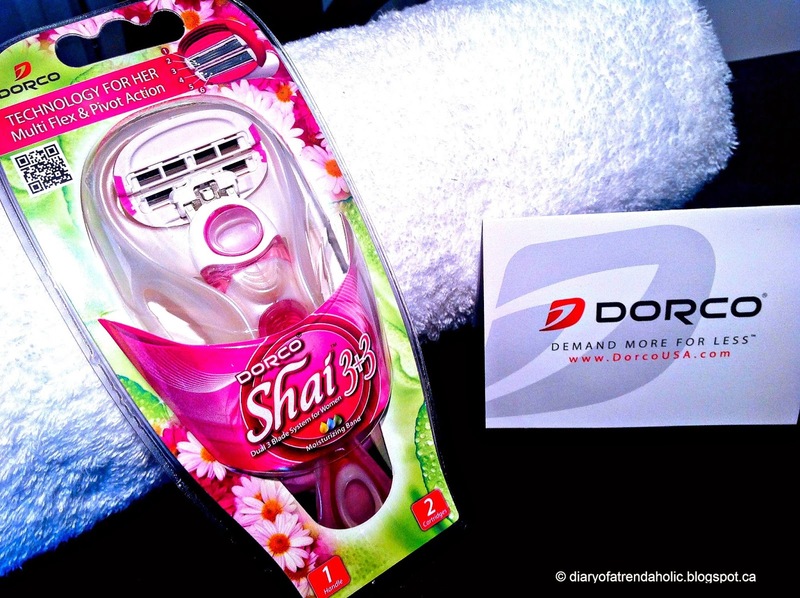 Today I have a review on a great razor from Dorco called the Shai 3+3 razor for women. 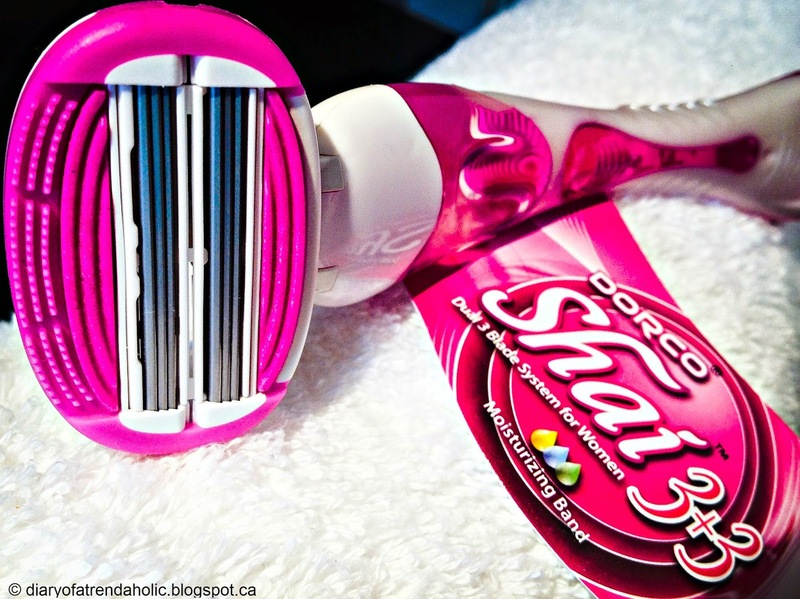 Not only is this razor pink and feminine but it also has a unique blade. I usually prefer razors with multiple blades and this one has six! The Shai looks like two razors in one and the mutli-flex pivot technology allows for a controlled shave especially around curves and sensitive areas like behind the knees and under the arms. As you press the blades against the skin they automatically flex outwards and the position allows you to shave a larger area. The lubricating tip also contains hydrating strips of vitamin E, aloe and lavender oil to help the razor glide comfortably over the skin. If the first blade misses any hair the second blade is sure to take care of it so shaving can be done quickly. I like a nice close shave for smooth supple skin and this razor gets the job done. I was able to get a clean shave that left my legs feeling soft without any nicks or cuts! I also like that the gel handle has a lot of grip which is ideal when working with slippery shaving products. 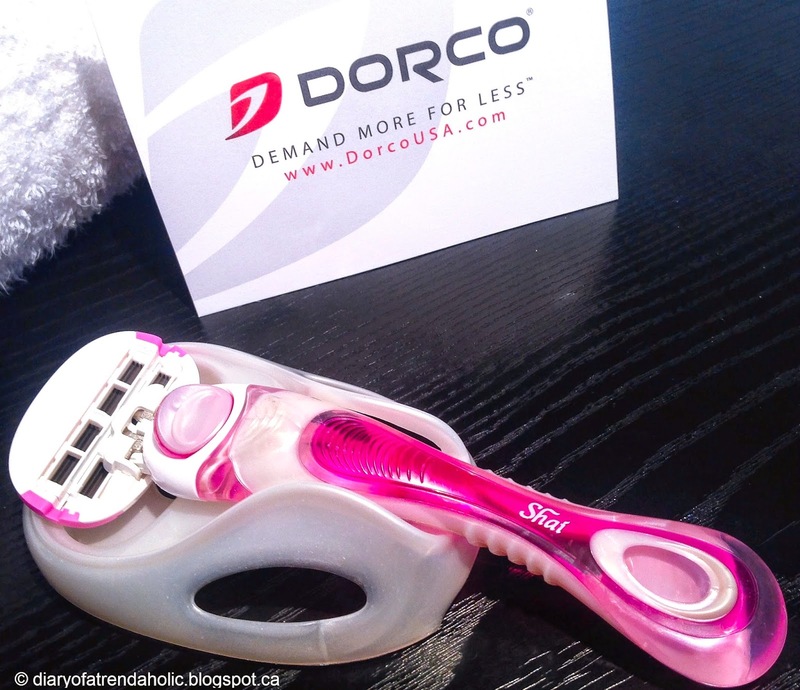 The razor comes with 2 blades that are easy to change by pressing the simple release button. I thought the blades would be difficult to clean because they are quite small but it was rather easy and cleaning helps keep them working efficiently. The razor also comes with a convenient holder that sticks to the shower wall for easy storage and quick access. The razor holder is also handy for vacations and I keep mine on an area of the shower wall away from the flow of water to prevent rusting. 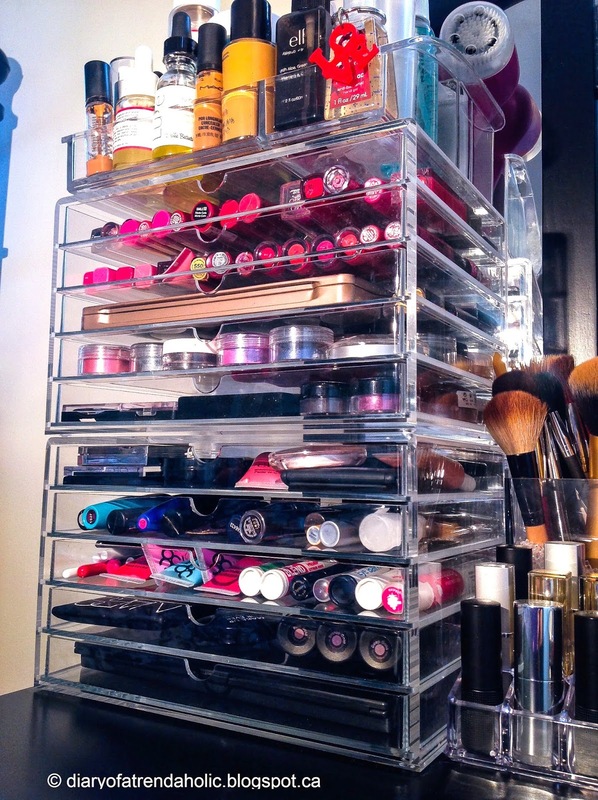 Today I thought I would share some makeup storage and organization ideas since these posts seem to be quite helpful. 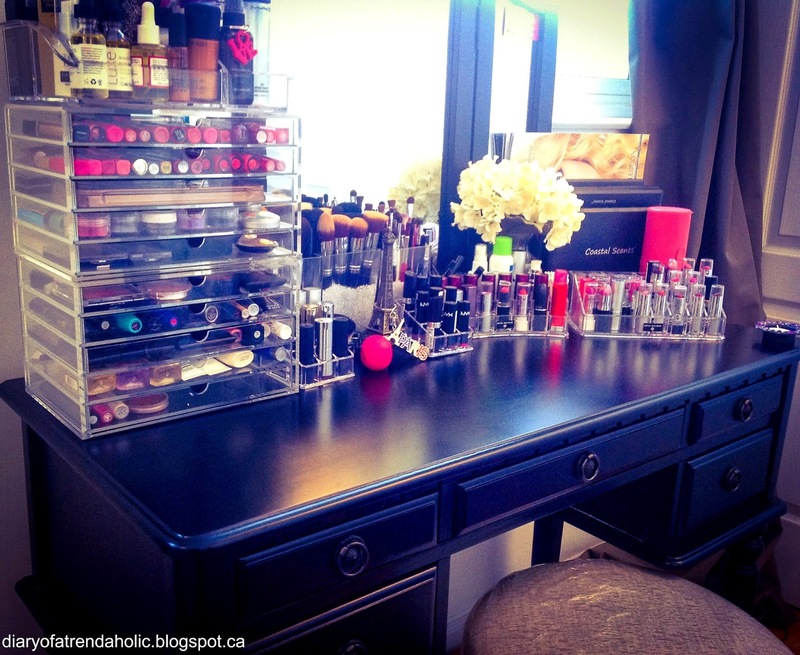 I like staying organized and knowing where things are so last Christmas Eve I was given a new vanity table for my birthday to match my bedroom furniture and I went to work re-arranging my makeup station. 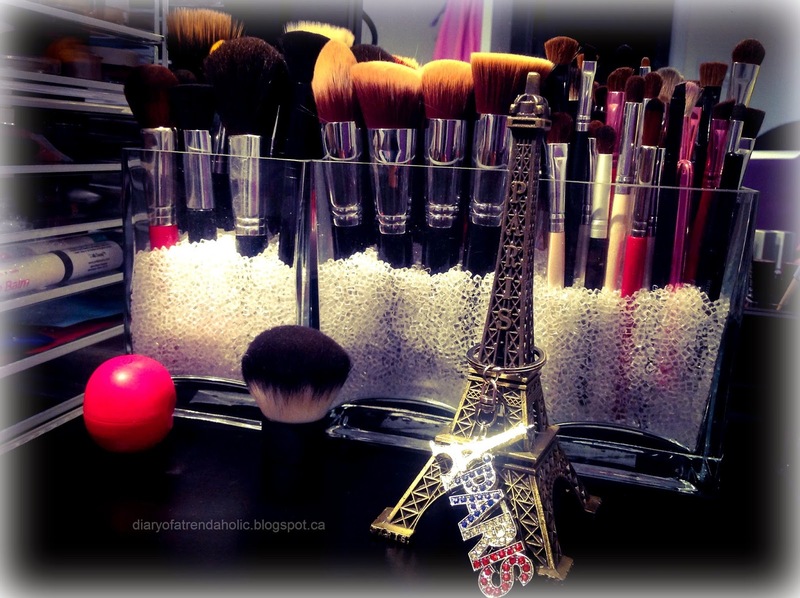 My vanity is medium size and although beautiful it is still rather small for the size of my collection. I ordered and made some new storage containers and got rid of makeup that was old and no longer being used. This is the vanity table I have, I still store some of my beauty items elsewhere but I use this to store the items I use regularly. 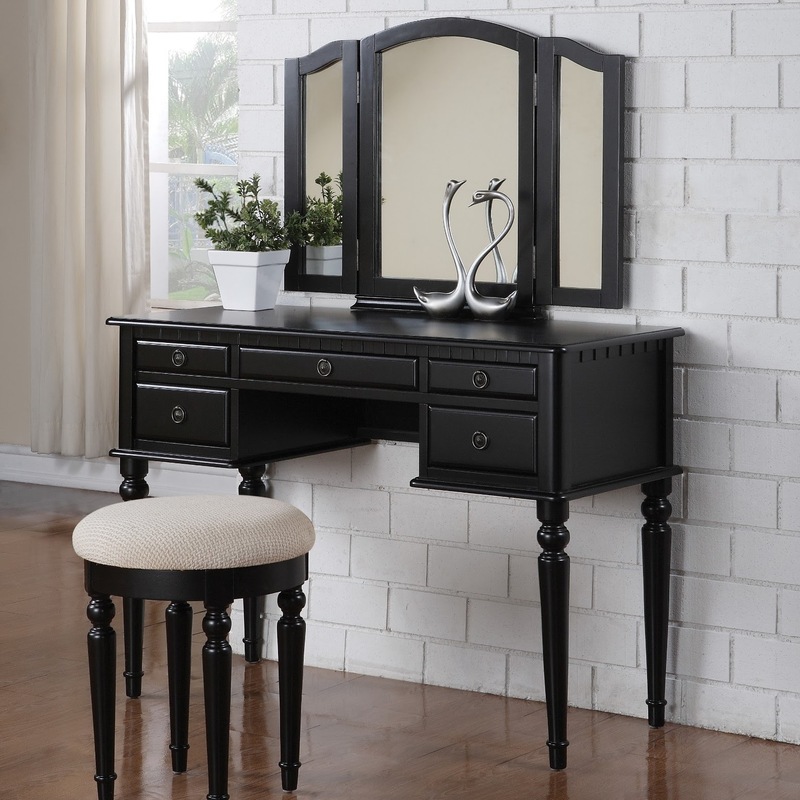 This vanity is very cute but the drawers are rather shallow so additional storage may be necessary. Although it was a gift from my sister I know shipping to Canada was quite expensive and the box was rather heavy. When it arrived there were some imperfections in the construction of the drawers and slight scratches on the wood, presumably from packaging and shipping but it was quite easy to assemble. It comes with a large mirror, 2 side mirrors and a sturdy stool that slips under to conserve space. It may need a glass top since it scratches quite easy but it looks trendy in a bedroom and also comes in white and brown wood. Overall I am quite happy with it. First up, storage drawers! I purchased these Muji acrylic 5 drawer organizers for $27.95 each, which is a great price compared to other acrylic storage. You can also stack them on top of each other as I have done to conserve space. The drawers are a bit smaller than I anticipated but they are sturdy, great quality and look stylish on a vanity or bathroom counter. The shipping from the U.S. store to Canada was incredibly fast, I received my package in 4 days! Shipping was $29 dollars via Fed Ex but I was impressed with how well they were wrapped to prevent damage and they came pre-assembled. If you live in the United States you will probably get a better rate on shipping. When they arrived the drawers did smell a bit weird but they are easy to clean and will air out. I also like that they pull all the way out for easy access. The website also offers varying sizes (3 drawer organizers) if you need deeper drawers. I will probably need to buy a few more soon. 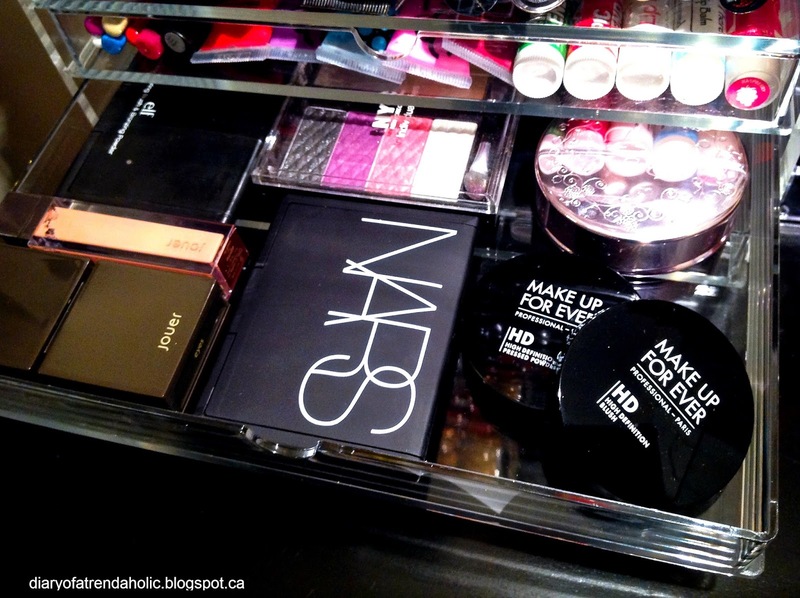 The drawers are great for storing loose eye shadows and smaller eye shadow palettes. 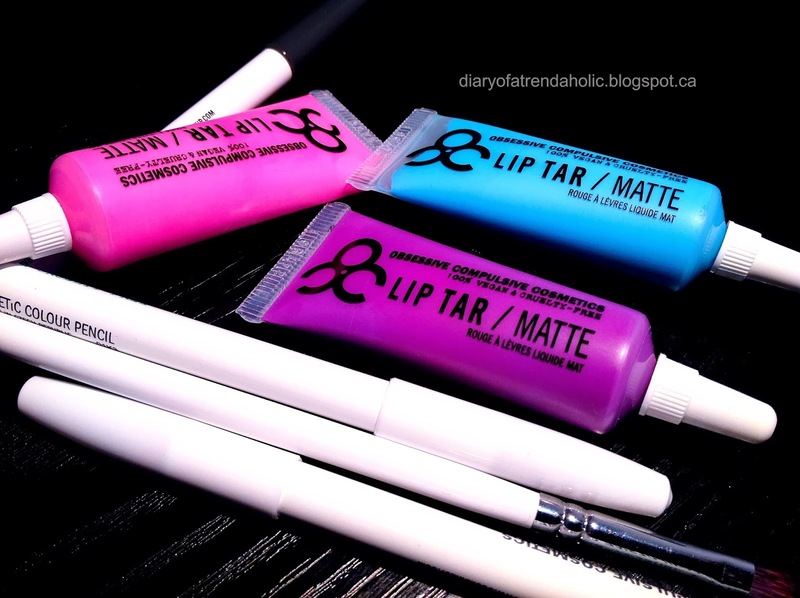 Lip gloss fits neatly, you can see all the colors and are more likely to use them! 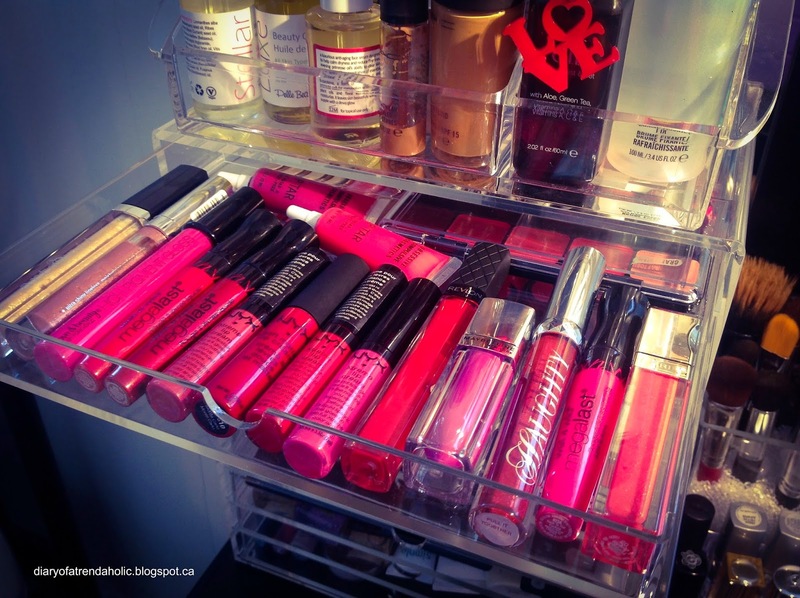 You can also store lipsticks. 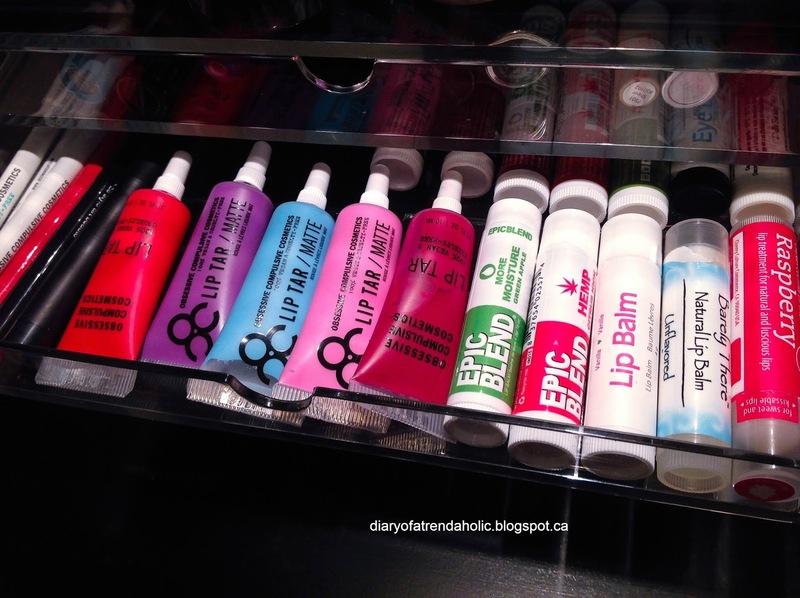 Its also great for storing lip treatments, balms and tubes. 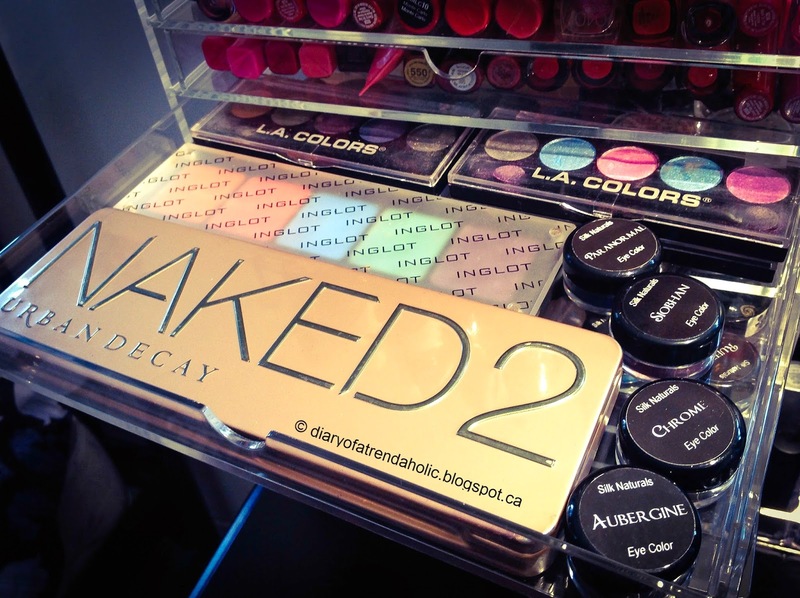 The drawers also fit single blushes in varying sizes or blush palettes, compacts, mascaras etc. There were some items that did not fit in the drawers such as thicker compacts and jars and there isn't much room for stacking items on top of each other but overall I am satisfied with these organizers. I have mentioned these lipstick holders in numerous posts so I will quickly go over them. 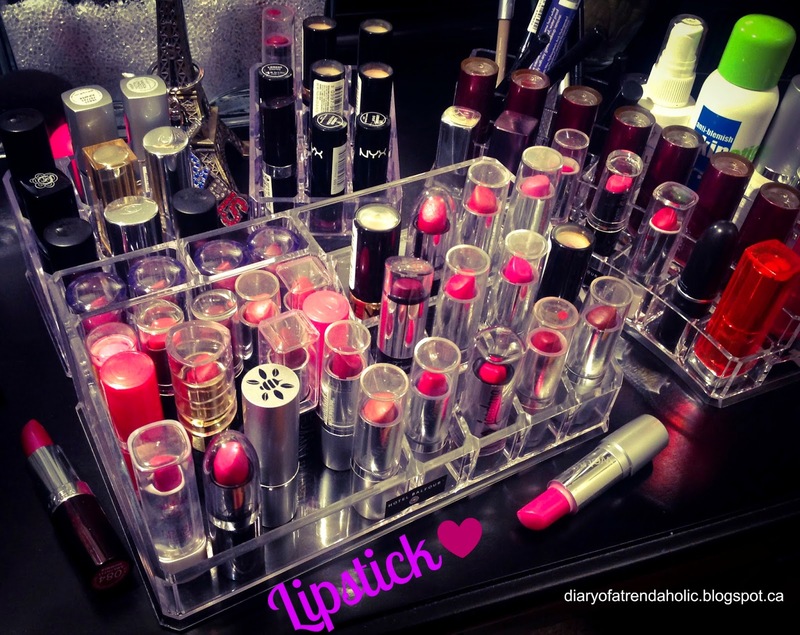 These acrylic lipstick containers are my favorite way to organize my obsession for lipstick. I purchased the larger ones at Winners in the home decor section (you can also check Marshalls) they were about $12 each. I found the smaller ones at a local store for $2 each! You can also find these on Ebay, Amazon or other online retailers. Since these organizers take up space on my vanity I had to find alternative storage options for the rest of my lipstick collection which I store elsewhere. 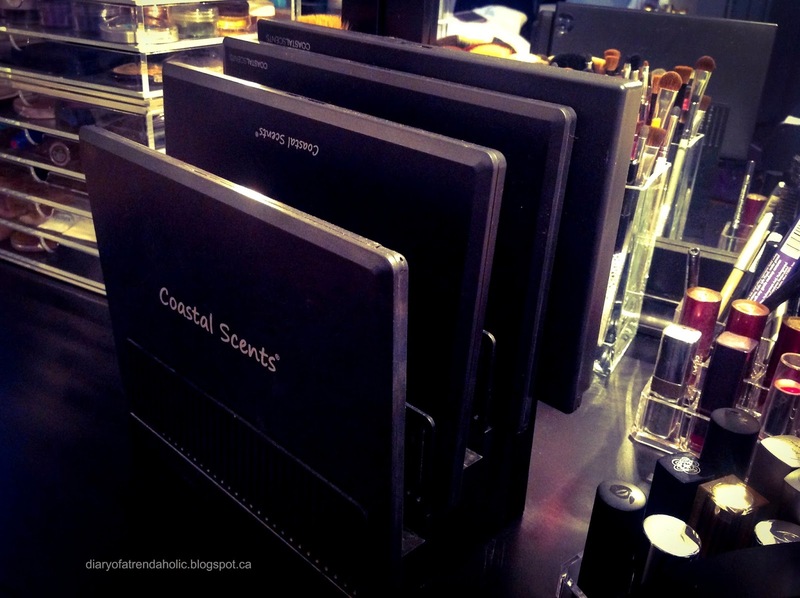 For palettes I use the Muji drawers and the vanity drawers but for larger palettes I use file folder organizers to conserve space. You can get these at office supply stores and the palettes slip right into the slots for tidy storage. Like many people I decided to make my own brush holders. I purchased these square glass vases at the Dollar Store (Dollarama) for 2 each as well as the acrylic beads used to fill them, which were $1 per bag! This is an affordable yet pretty way to store brushes. 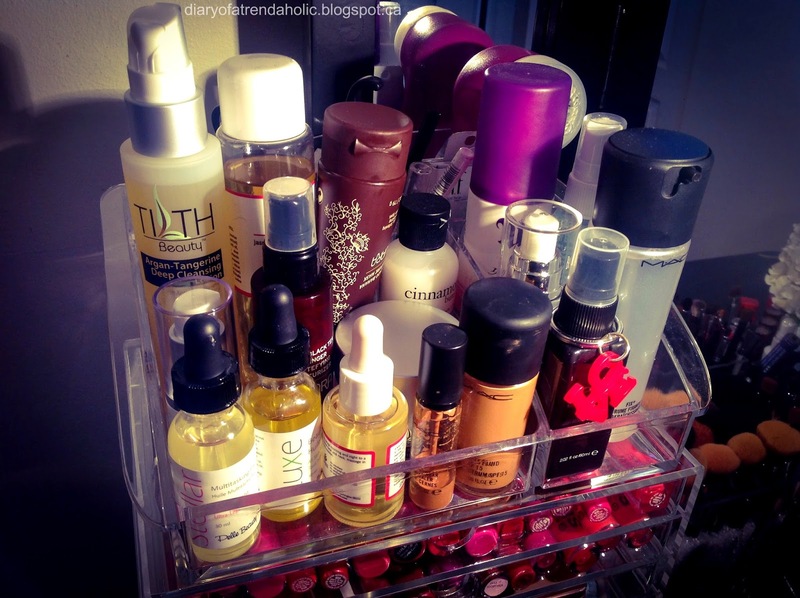 I use an acrylic makeup caddy to organize the skin care items I use on a daily basis. The rest of my skin care items are kept in a built in shelving unit and in my bathroom and bedroom cupboards. I also use this to store foundations and setting sprays and it sits right on top of the Muji drawers. I got this caddy at Walmart for about $10 and it holds quite a lot! I found this mirror at HomeSense for just $16.99. 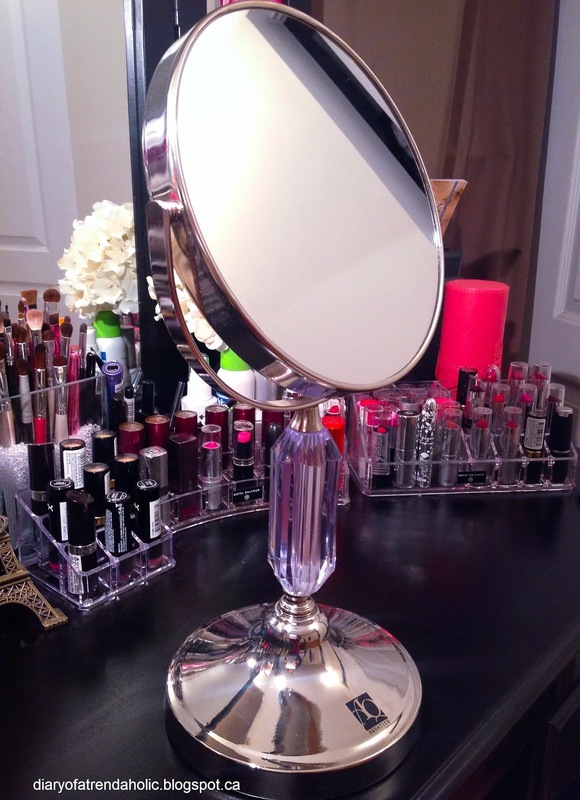 Aquatico vanity mirrors retail for up to $80 so this was a steal! One side is magnified 5x and it has nice crystal detailing. When looking for a mirror make sure to consider the height you need, you want to be able to see into it without having to stoop down or peer up. Also make sure that the base is lined in good fabric to protect your tabletop. 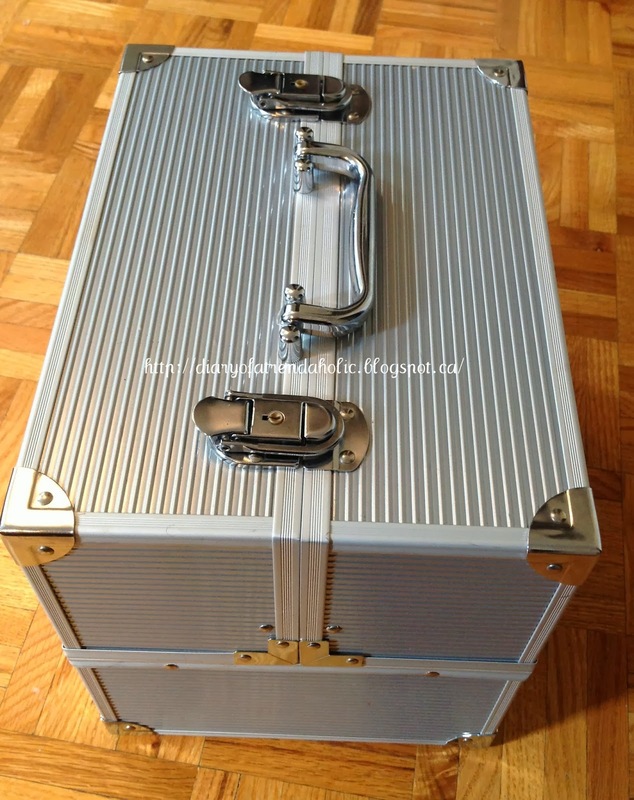 I also use my train case to store other makeup items and I keep that under my table. 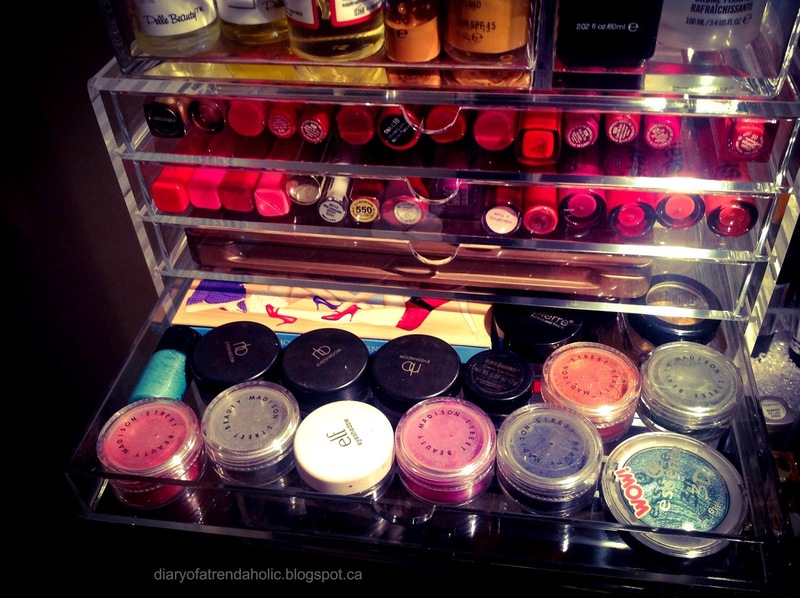 So this is how I organize some of my everyday makeup items. If you have any questions leave them down below and let me know how you keep organized. Beauty Box Five seems to be getting better and better! 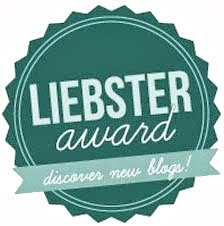 Every month I excitedly wait for the delivery of my little blue box to see what fabulous goodies are inside. I try not to attack the mail lady as she arrives late as usual and slowly makes her way to each house shoving crumpled envelopes in boxes. 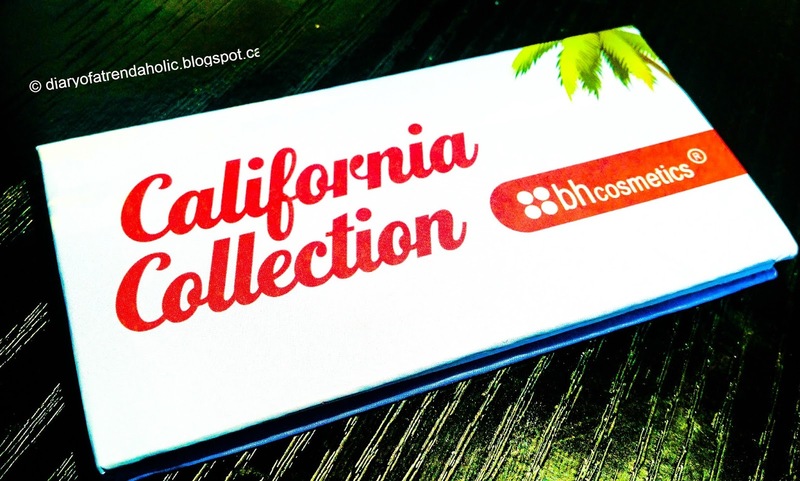 Joining this subscription service is like belonging to little club of beauty addicts and getting a present every month! But before we get into each product let’s review how it works. The colors in this little palette seem to have been designed with me in mind. It combines some of my favorite colors: a rustic copper, yellow gold and a bright purple. 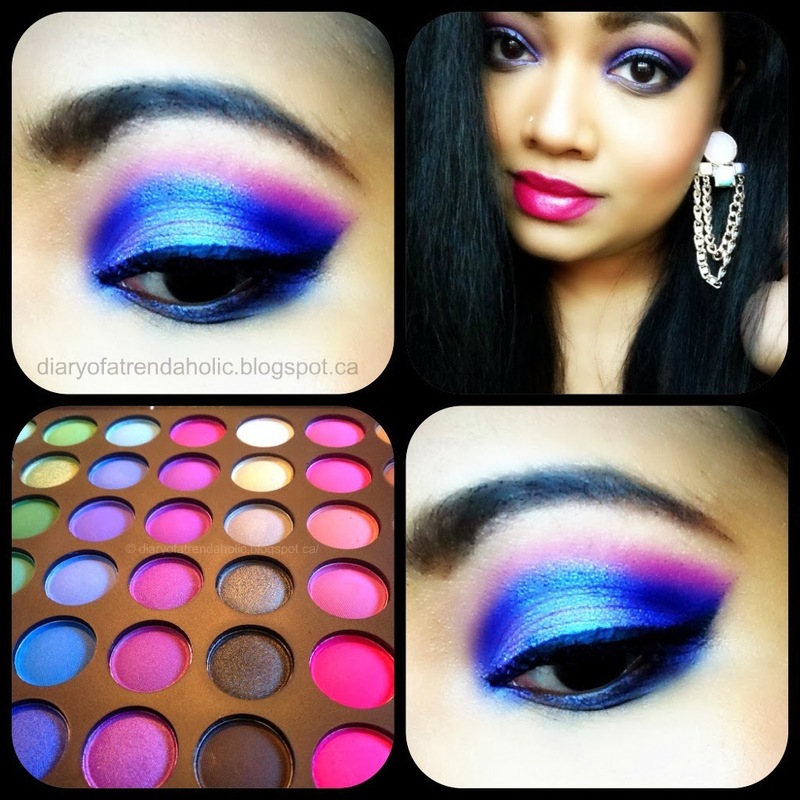 These "soft, romantic" shades go well together and mix, match and blend to create beautiful looks. 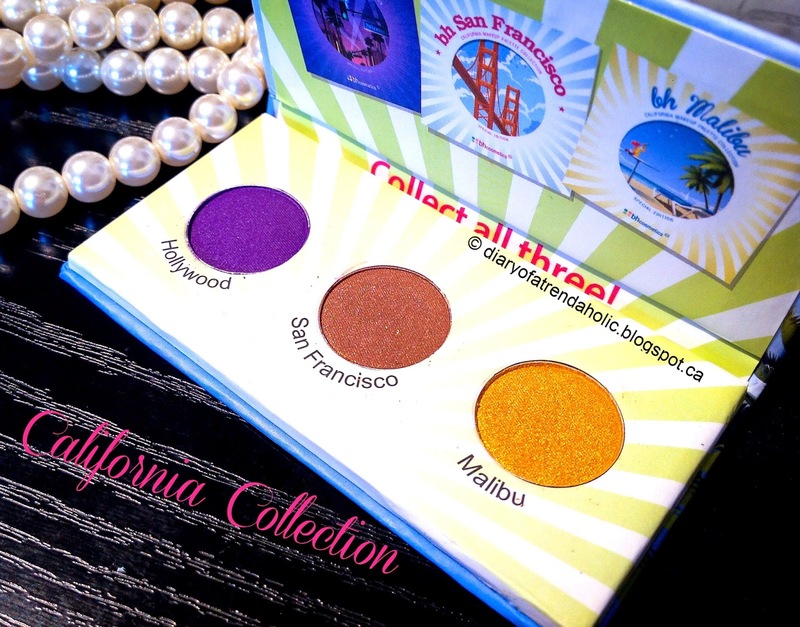 The California palette is small enough to slip into a purse for touch-ups on the go and I like the combination of the darker shade paired with subtle shades. 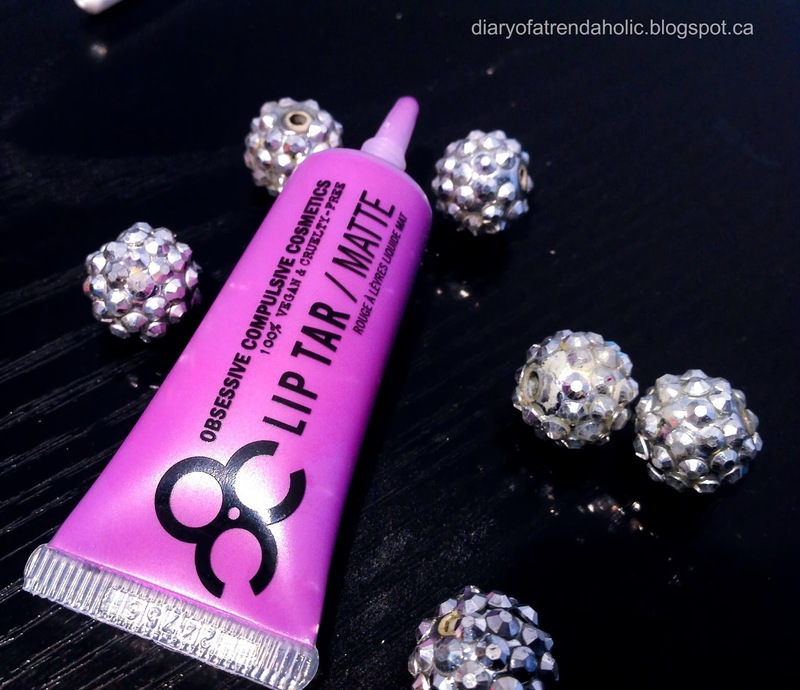 This is the first time I have tried this brand and for such an affordable lipstick the formula is quite creamy, soft and hydrating. In the photos the color looks a bit orange but it is actually more of a pretty coppery/pink.The description says: “the lipstick feels light-weight but delivers luscious, full bodied color that lasts through your first cup of coffee, afternoon snack and even a kiss.” Although it did not last through all of the above and was quite transferable I still like the texture and the soft neutral shade. Since I am going on vacation in a few weeks this small bottle of wipes will be coming with me! Perfect for touch-ups on the go, use at the gym, at work or even in the car these paraben free, organic wipes removes eye makeup and corrects minor makeup mistakes. They are also organic and have a refreshing citrus scent infused with grapefruit extract. Many people are getting ready for the warmer weather by tanning. 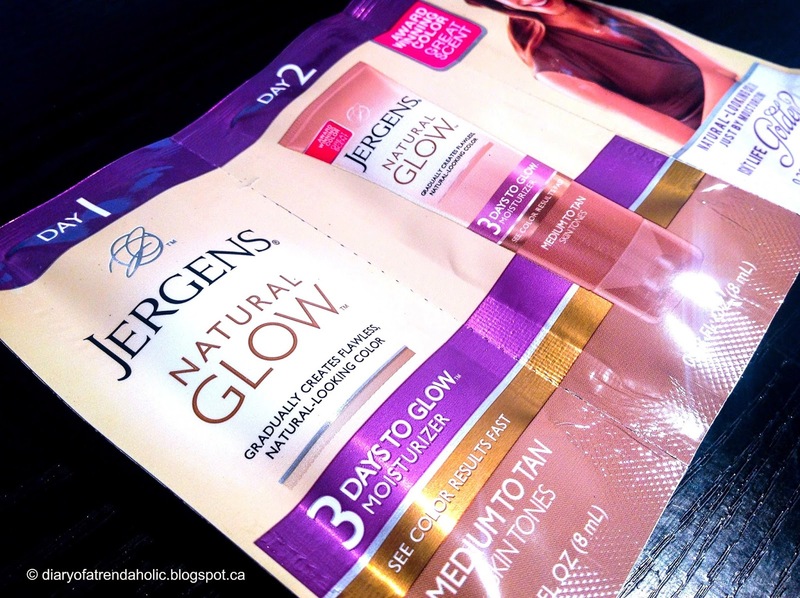 I have a medium complexion and a natural tan so I don’t use tanning products for summer. Usually on vacations I tan despite taking preventative measures to shield my skin from sun damage and burns. If you do prefer a subtle, healthy glow a lotion like this is a safer method to harmful UV rays. Description: “this handy liner keeps lipstick from feathering and makes for a lovely natural look when paired with a clear gloss.” Although I wouldn't pair this color with a clear gloss the shade is nice. When I first used the pencil it was quite dry so it may take a few swipes for the color to show up. 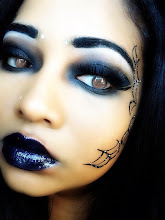 The liner is usable but I would have preferred a slightly creamier texture for easier application. Overall this month's box had good variety and I was quite happy with the makeup. At the last Press event for Clarins, I had the opportunity to try a variety of their moisturizers and I was extremely impressed. Clarins offers a wide range of luxurious beauty items made in France and all products are put through rigorous testing and trial before they are released. It it is no wonder their products are great quality and favored by women of all ages. 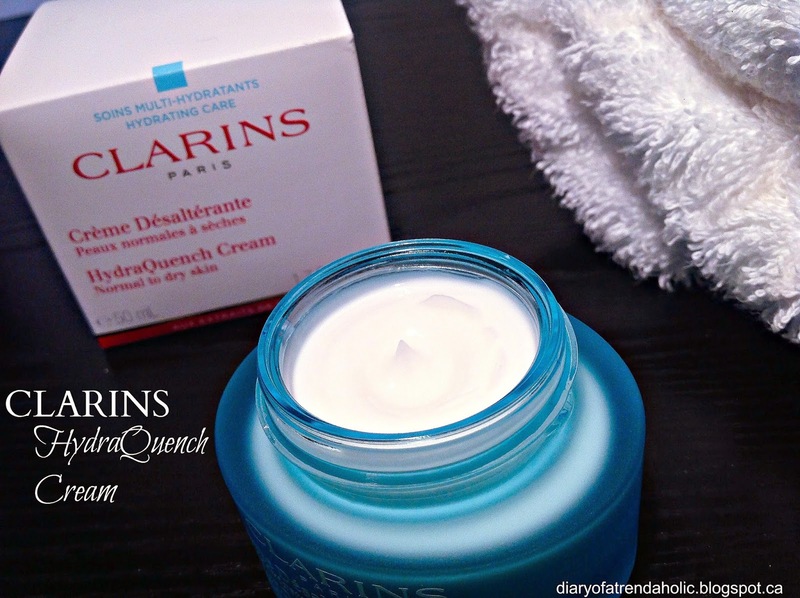 Today I have a review on the Clarins HydraQuench cream formulated for normal to dry skin. It also works well on combination skin like mine. I like to keep my face hydrated morning, noon and night and I am always on the lookout for products that react favorably under makeup. This cream can be used all year and works well to relieve tight, dry skin and flaky patches. 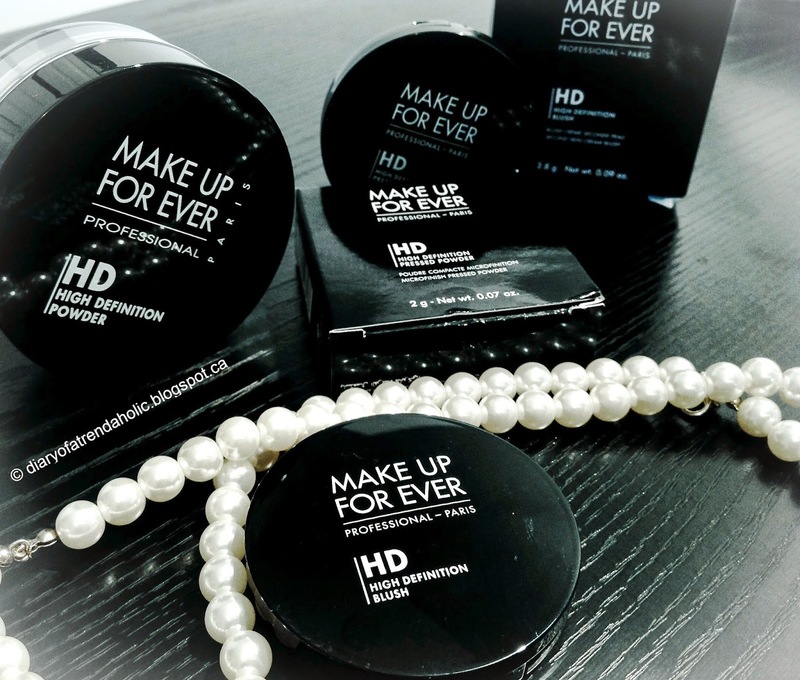 The HydraQuench cream smells amazing and is specifically formulated to "promote softer, more radiant skin." A small dab spreads effortlessly over a large area and covers efficiently. It also has a pleasant cooling sensation that soothes and softens. Once applied, my skin feels incredibly smooth and supple and I love that it eliminates dryness without feeling greasy or looking shiny. The formula is rich but light weight, absorbs quickly and makes my skin feel fresh. It is also ideal for use during the summer and in humid climates. 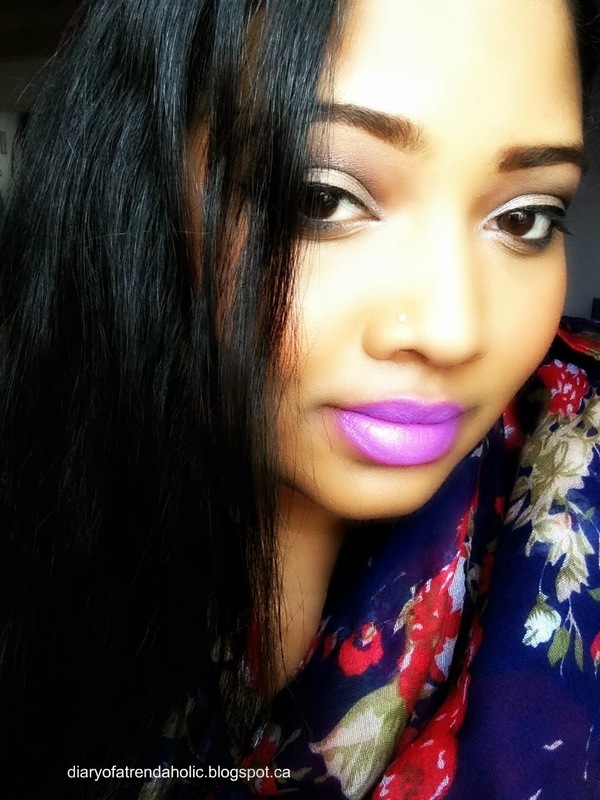 I use the cream under primers, foundations and concealers. It helps prep my skin for makeup application and provides long lasting hydration without increasing oil production. The formula contains Katafray bark extract and hyaluronic acid to "provide optimal moisture within the skin's layers." It can also be used before bed on the face and neck so you wake up with dewy, revitalized looking skin. 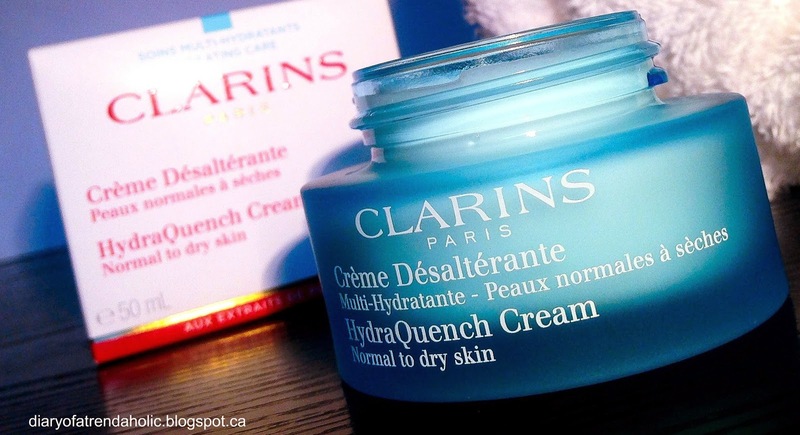 You can find this cream on the Clarins website by clicking HERE or at Sephora HERE. It retails for $49.50 (per 50 ml). Today I thought I would take a little break from all the wonderful makeup reviews and share a healthy salad recipe. 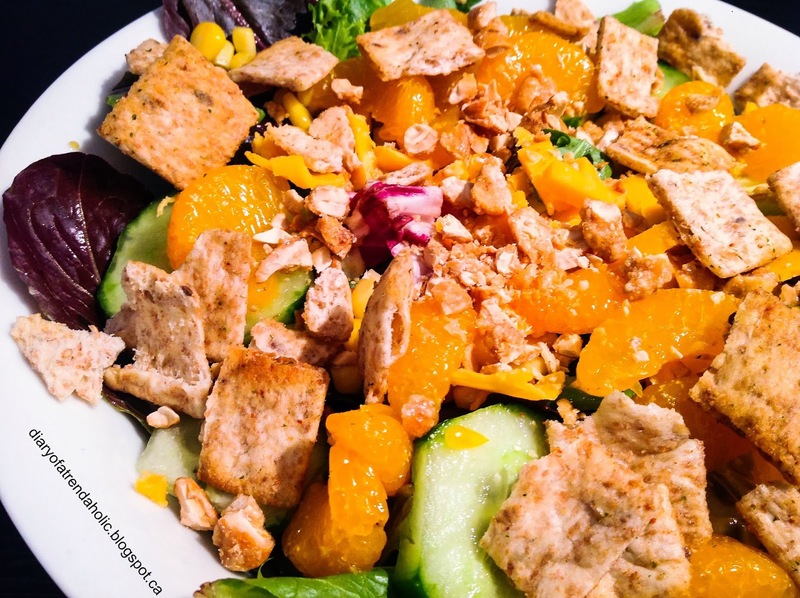 Salad doesn't have to be boring, in fact they can be quite appetizing and filling! 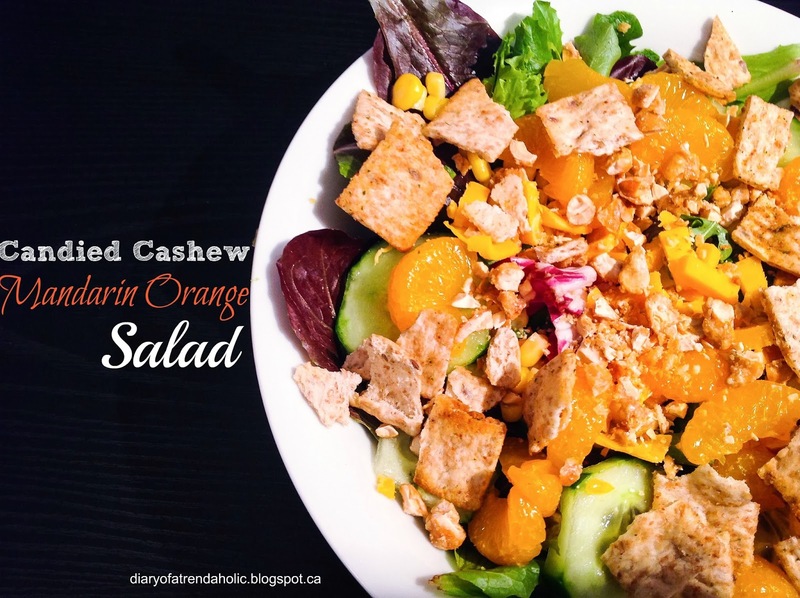 My candied cashew mandarin orange salad has become a favorite in my family! It contains protein, vitamins and many other essential nutrients, it is also easy to prepare and tastes delicious. Sometimes I make my own vinaigrette dressing but for this salad I like the Kraft Greek feta and oregano. You can use whatever dressing you prefer but I usually opt for the low fat, low calorie variety and this one is great with the salad. This salad is slightly sweet and savory yet nutritious and satisfying. I also like the crunch from the pita crisps and nuts. 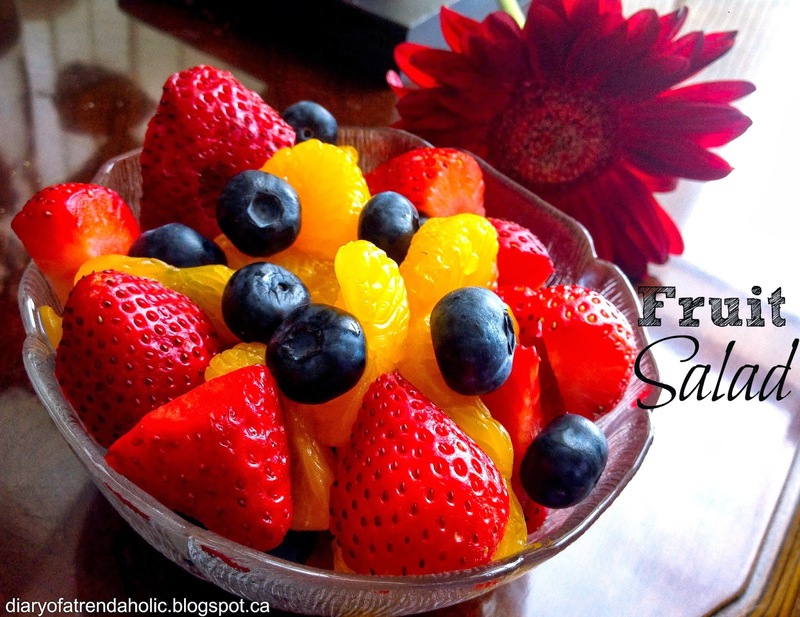 If you have some mandarin orange left over it can be added to a fruit salad the next day as a part of a healthy lunch. 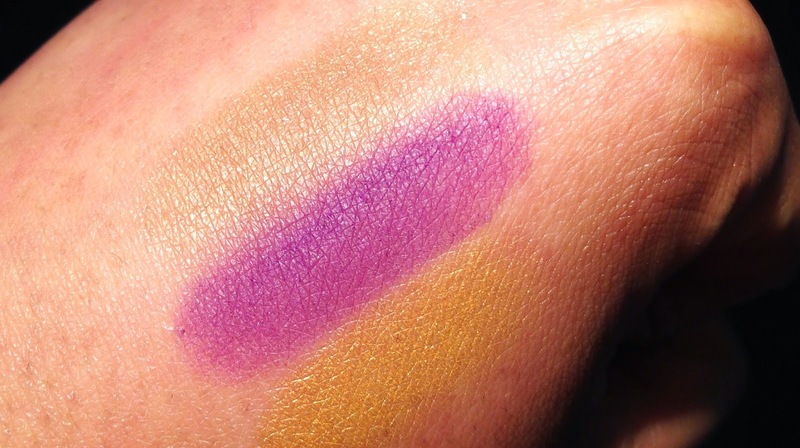 I love when a brand comes out with exciting, fresh new makeup that reflects the changing seasons. 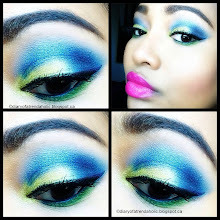 This year Obsessive Compulsive Cosmetics showcased their spring 2014 collection at The Makeup Show L.A. In the new Plastic Passion line there are 6 hyper-saturated, technicolor Tars to choose from and these bold beauties are not for the timid! 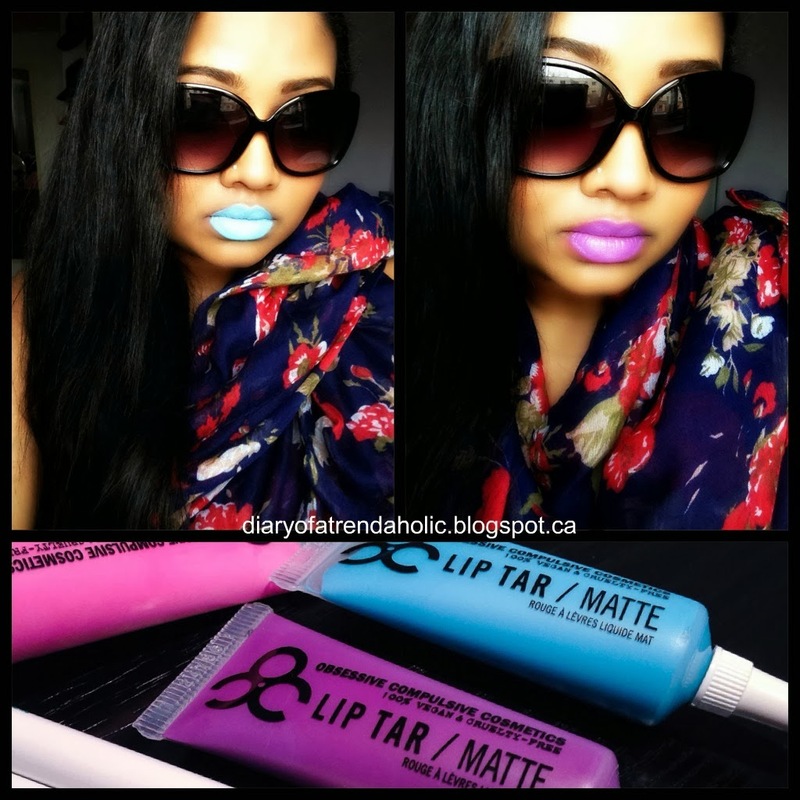 The Tars are seriously bright and OCC claims that they are “the most vibrant line-up of shades to date.” I love a bright bold lip for spring and summer but with the exception of the purple the other two showstoppers are a little outside of my cushy comfort zone of pink, orange, corals and red. With slight hesitation I grabbed my lip brush and painted these babies on to present a visual display of their true uniqueness. The Plastic Passion Collection also includes a new selection of nail lacquers and color pencils which I have also tried. The polish retails for $10 each. Since the Tars come in tubes they can be a bit tricky to apply. The formula is quite runny and they do stain a bit, although not as much as the regular line. 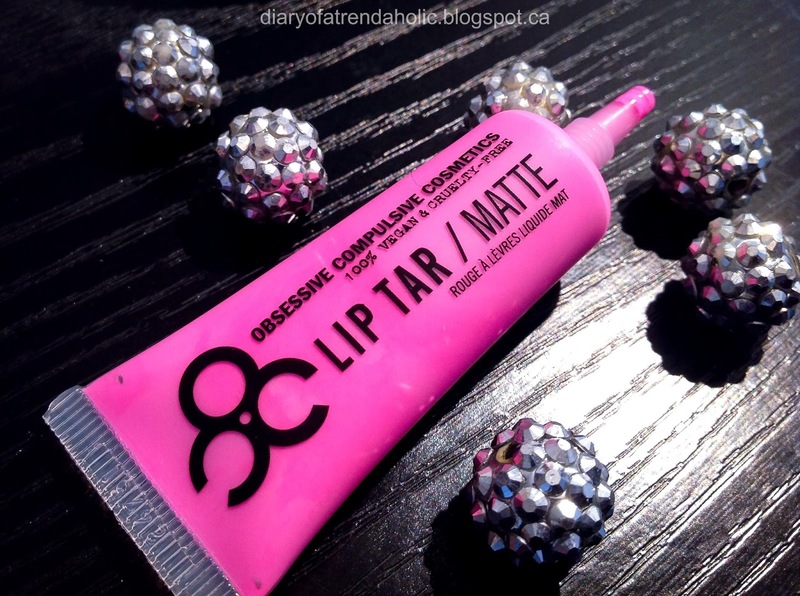 OCC suggests that you line the lips for definition and then fill them in with a brush. I found this method easiest as well since using your finger is messy. 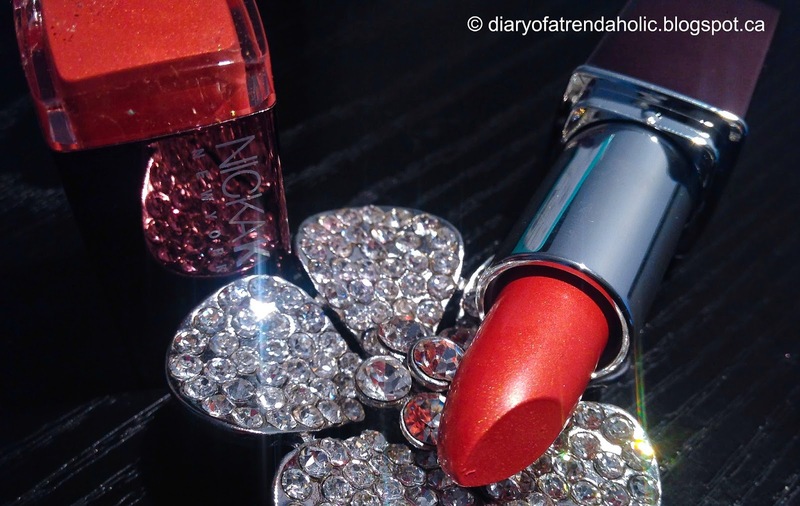 Because the Tars are matte and extremely vivid it is best to make sure lips are exfoliated and smooth before application. My favorite shade is the lavender and although the blue and pink are fetching in the tubes they are not very practical for every day wear. 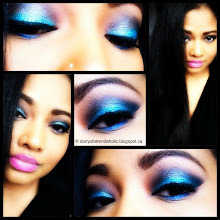 The only place I can see myself wearing the blue is to a funky night club, a concert or for Halloween. If you can rock these shades comfortably then more power to you! 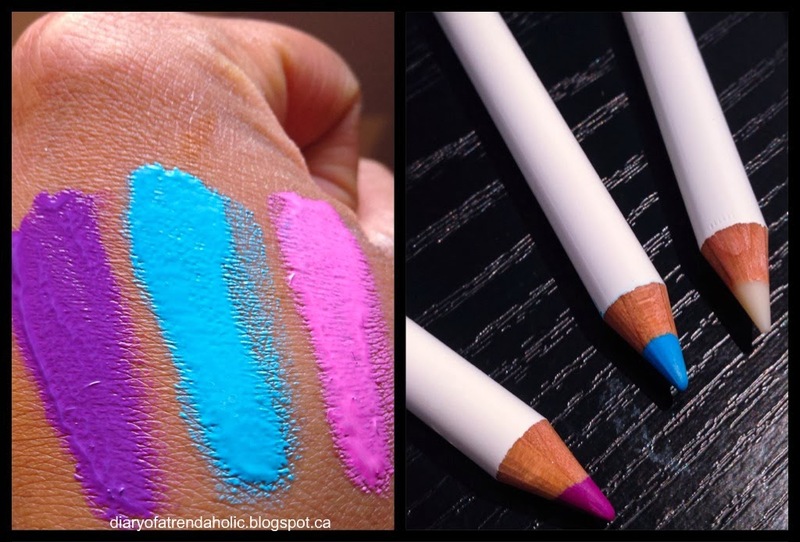 These Tars are beautifully pigmented but I prefer the bright, sightly less shocking colors in the regular line and I would love some of those shades in lipstick form. 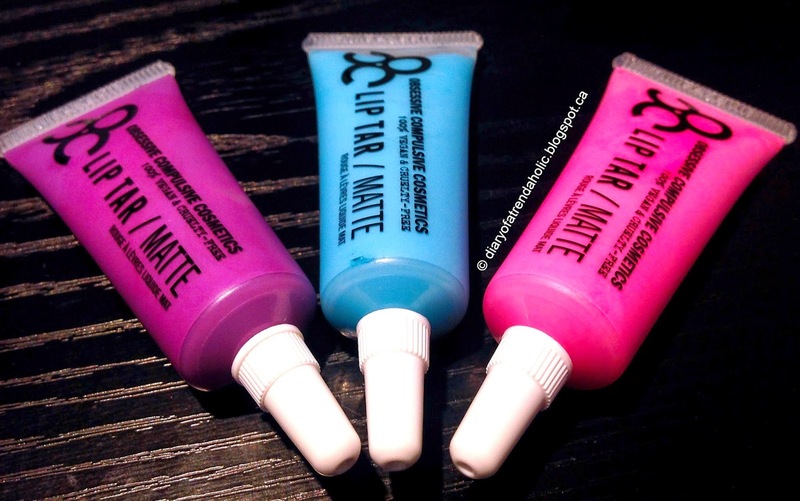 Although these lip products are favored among many Makeup Artists and beauty aficionados I find the tubes and consistency a bit finicky but still worth the effort. 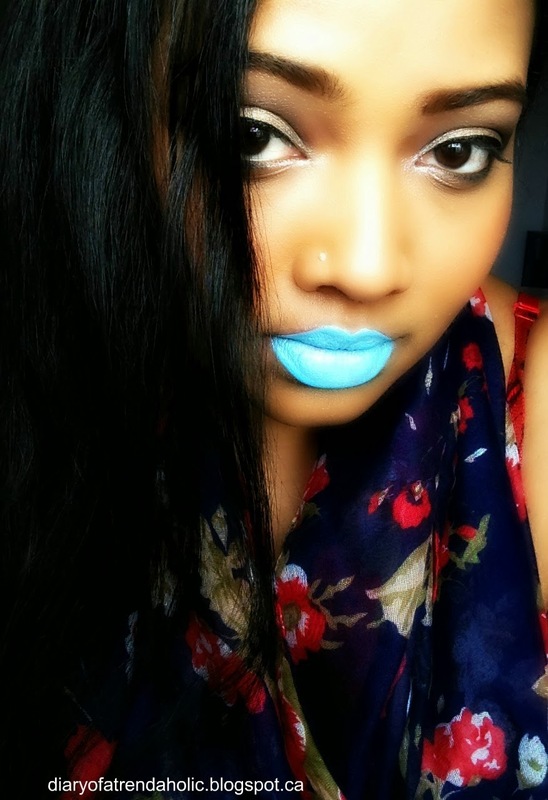 The colored lip pencils are easy to work with, have nice pigmentation and keeps everything looking tidy. 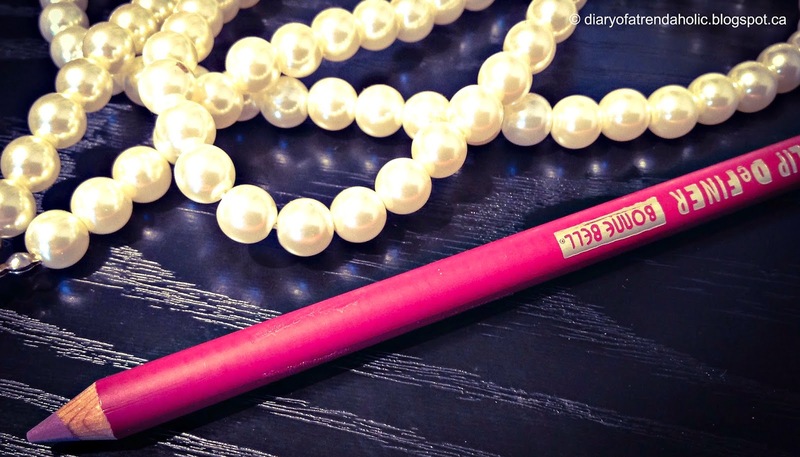 The clear pencil is made to prevent feathering which is very useful when working with a thin formula. 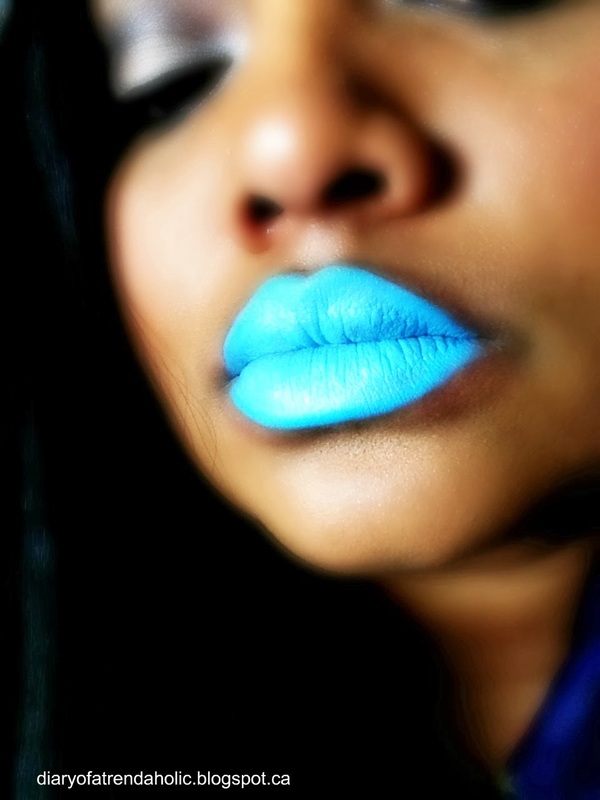 This bright blue has a milky white undertone and even though the color looks gorgeous in the tube I doubt I am going to be able to pull it off on a bright spring day without attracting some quizzical glaces. For the short time I had it on however it did make me feel a little edgy and daring. 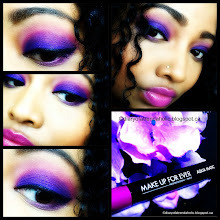 Shades like this are interesting for editorial work and the color is so electric it looks like I dipped my lips in paint! After a long dreary winter it is exhilarating to soak up a bit of sun! I couldn't help breaking out the floral prints and my over sized L.A sunglasses. I was hoping this beautiful pink would show up as a bodacious bubble gum shade but it has a milky white undertone that changes the color once applied and makes it less wearable. If I do wear this color I will probably mix it with a darker pink and because the Tars apply wet they transfers easily to teeth until dry.